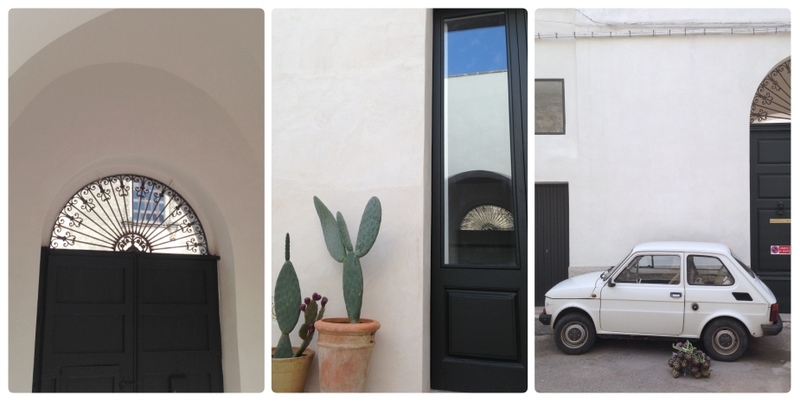 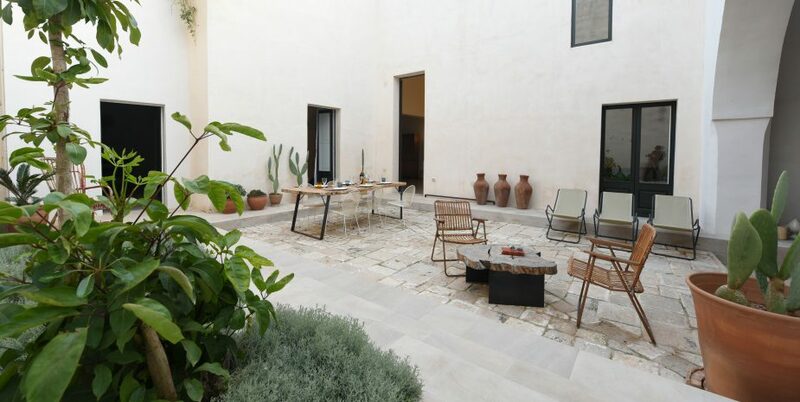 In the baroque centre of Nardò, this spacious 17th-century courtyard house is relatively unassuming when viewed from outside. 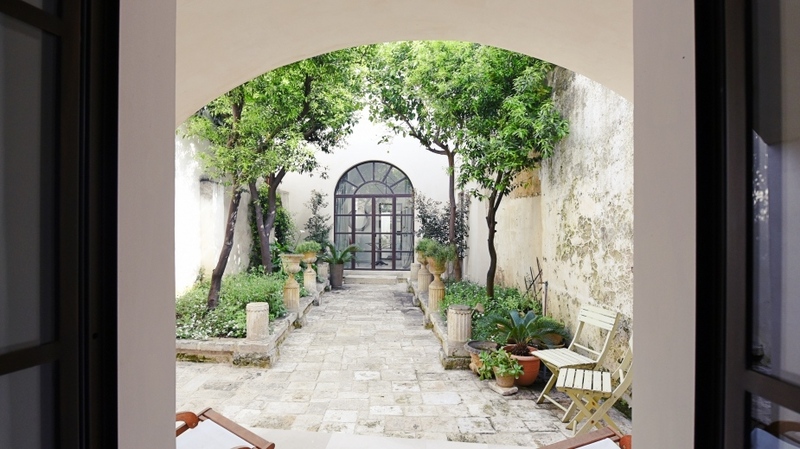 But step through the huge wooden entrance doors into the large private courtyard and you will be struck by a sense of space and calm. 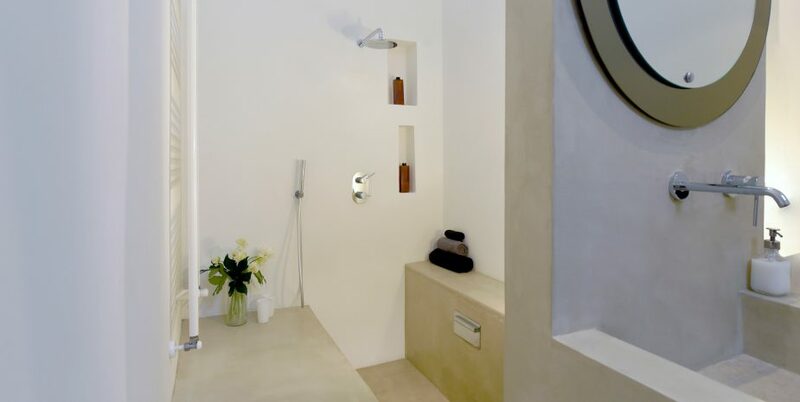 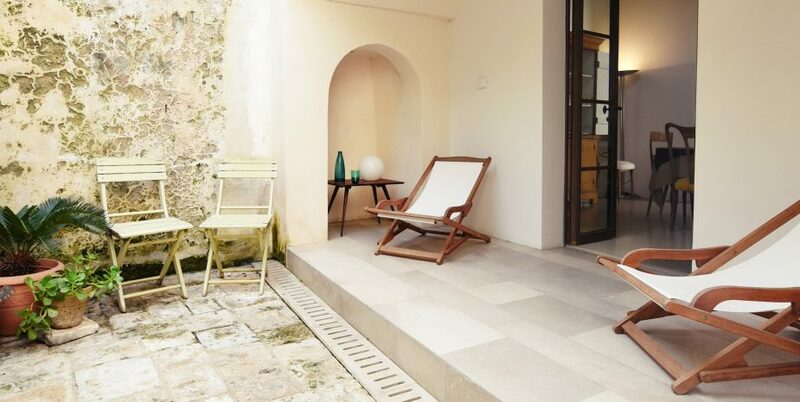 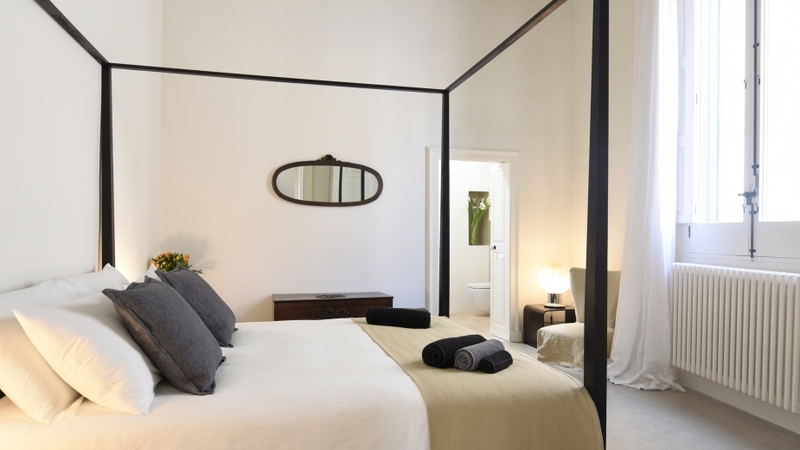 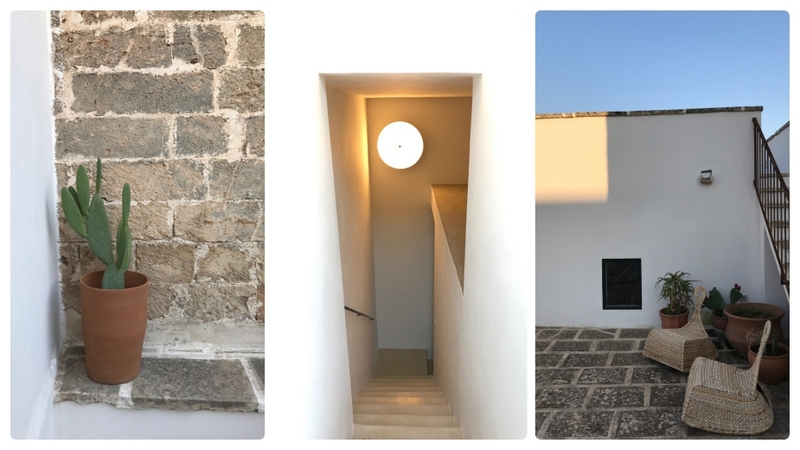 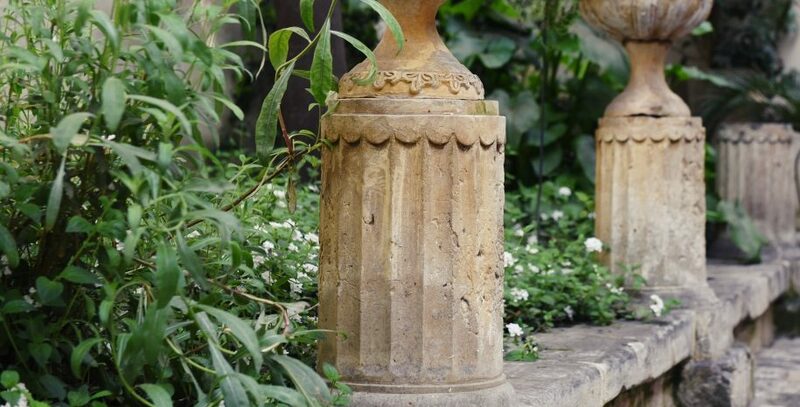 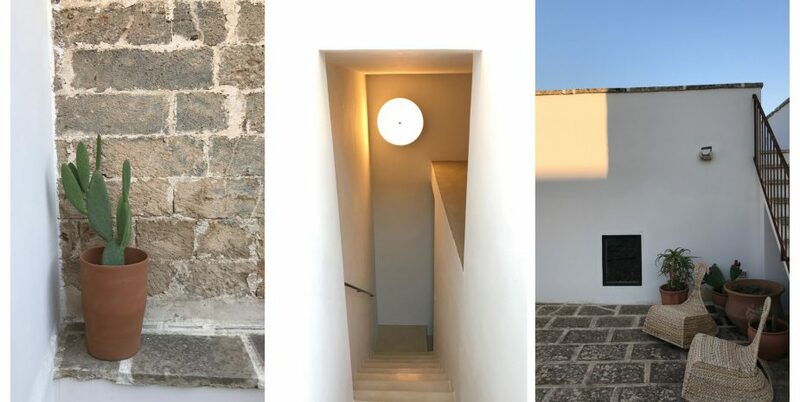 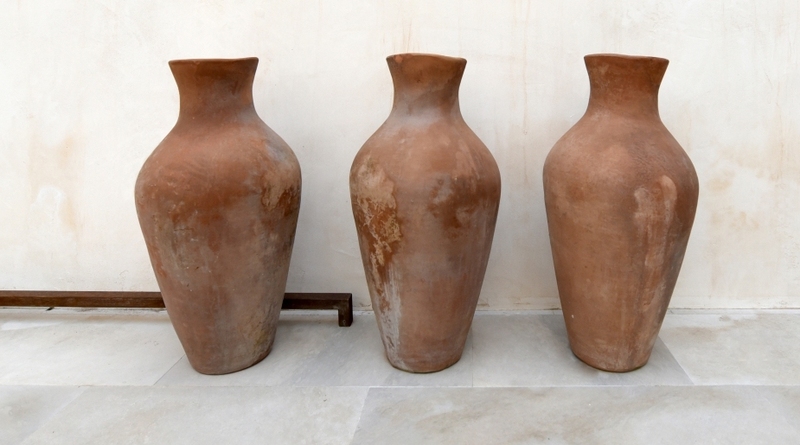 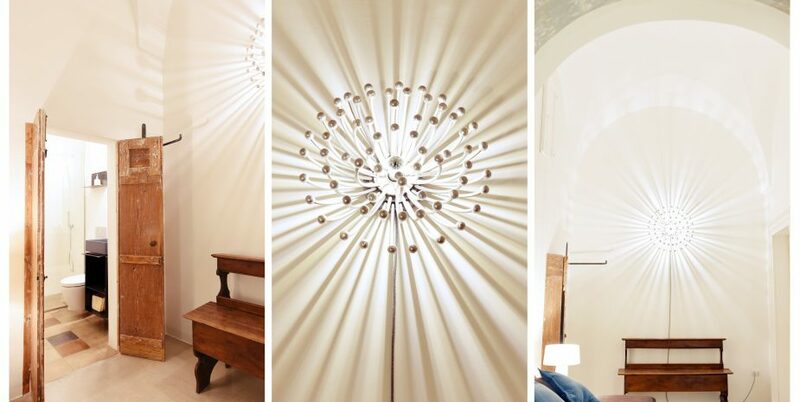 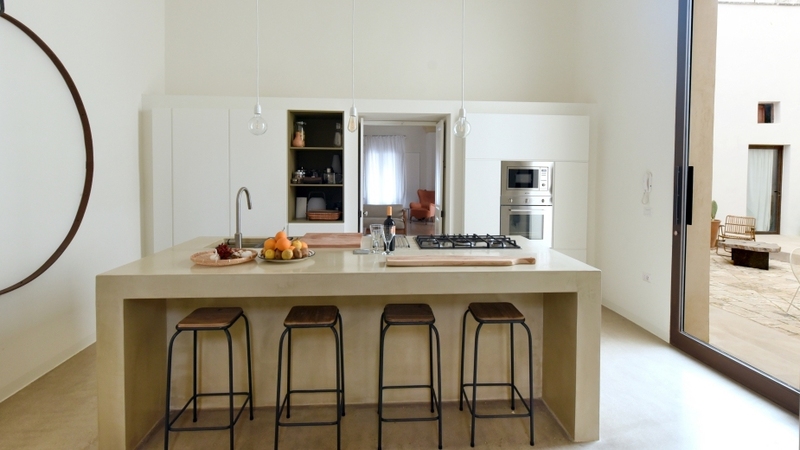 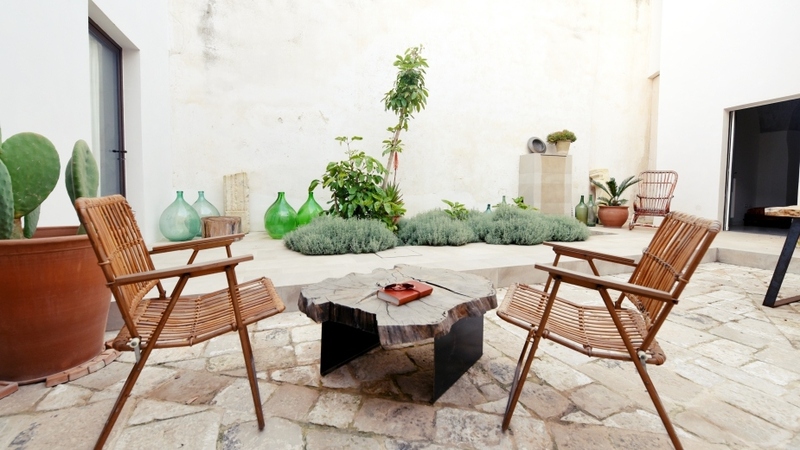 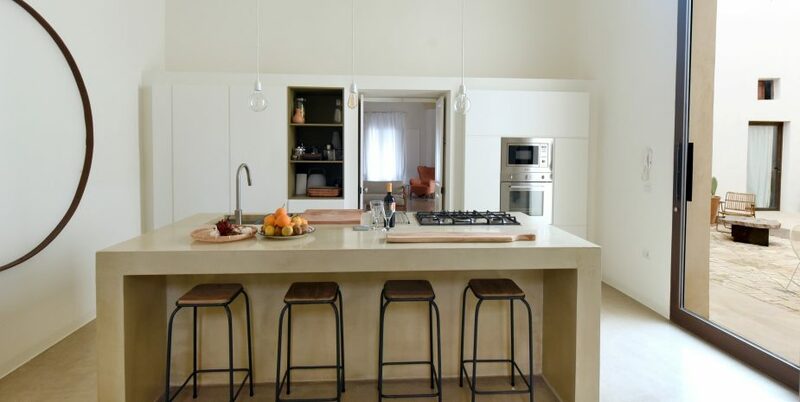 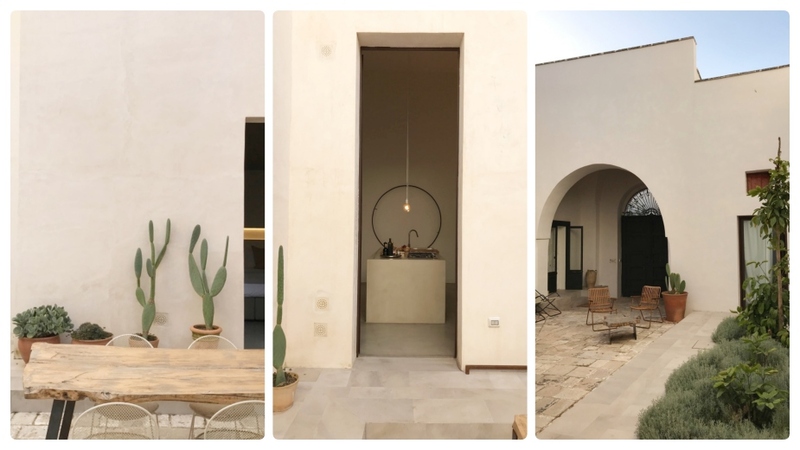 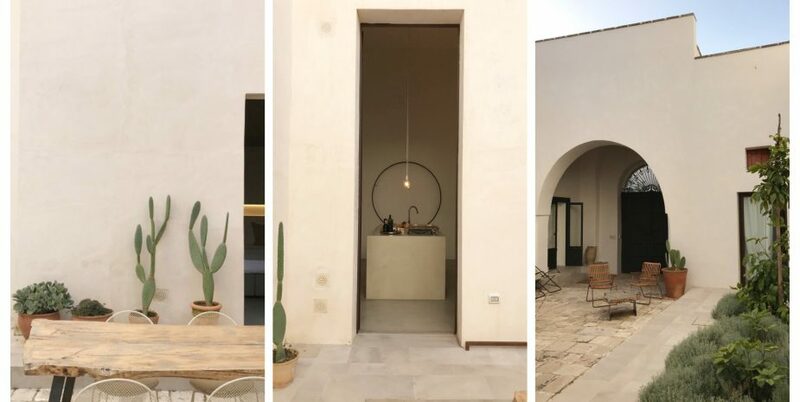 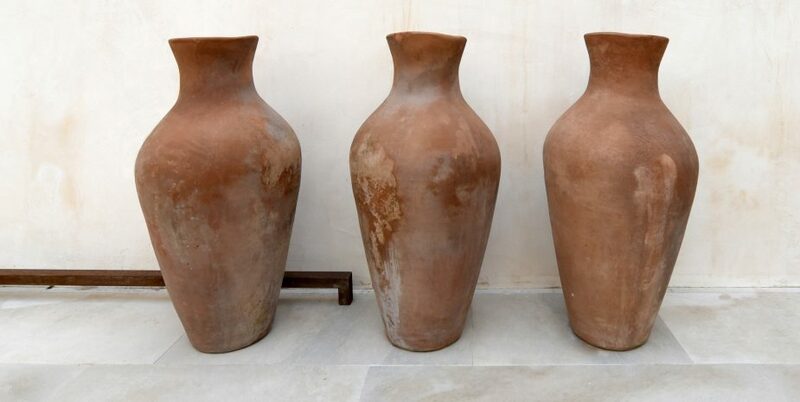 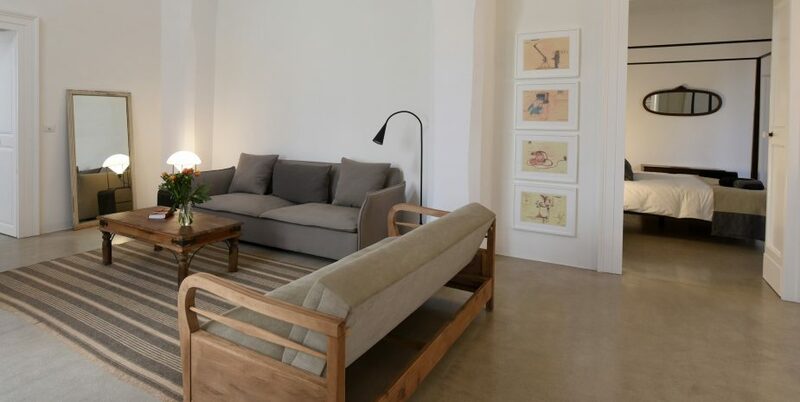 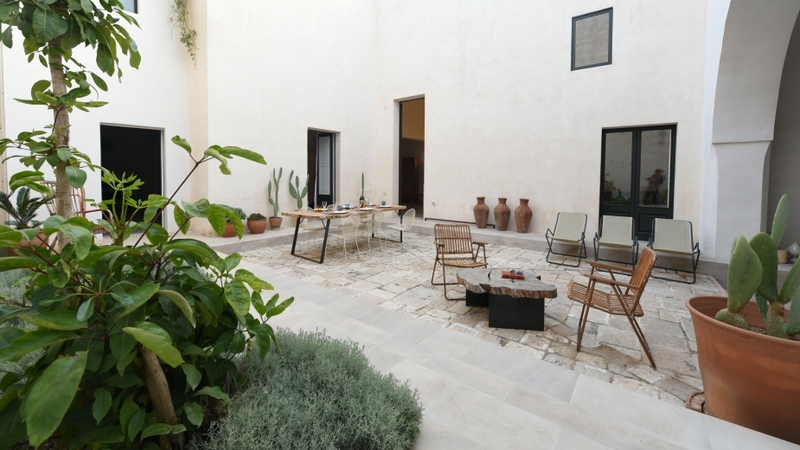 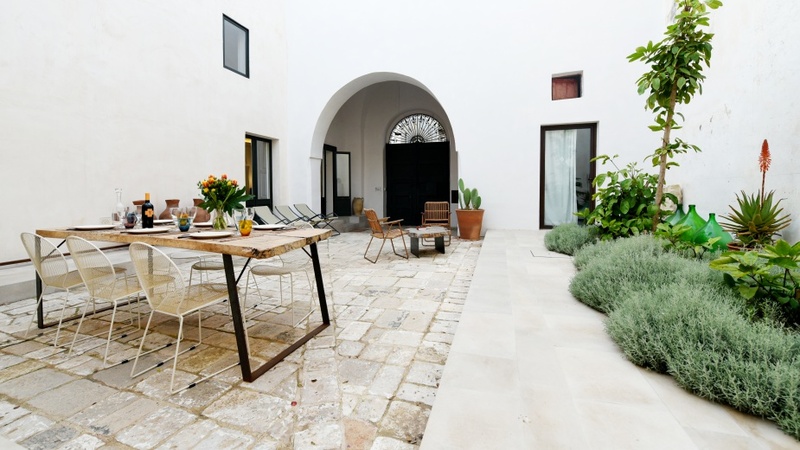 This elegant boutique courtyard holiday home has been carefully and beautifully restored in 2016, using traditional and contemporary materials, enhancing the building’s original architectural features, such as the vaulted ceilings and paved courtyard, whilst adding freshness and modern comforts. 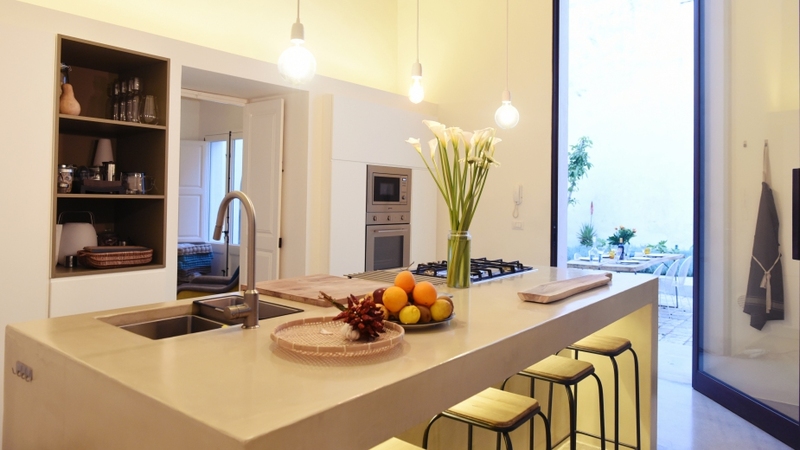 Generous windows fill the rooms with light. 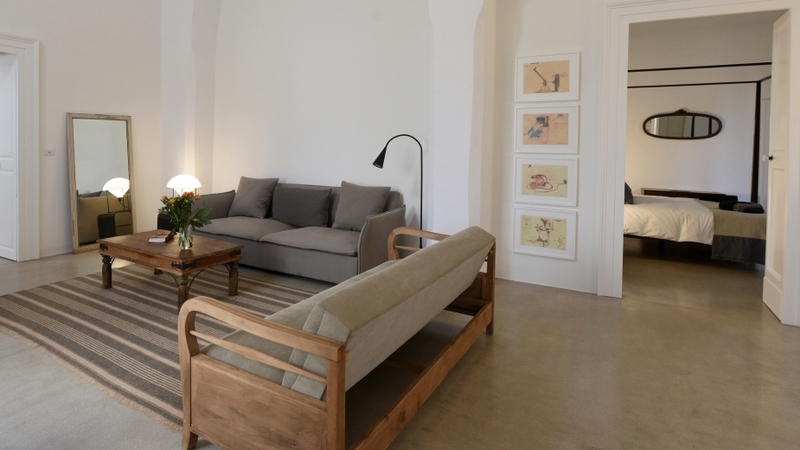 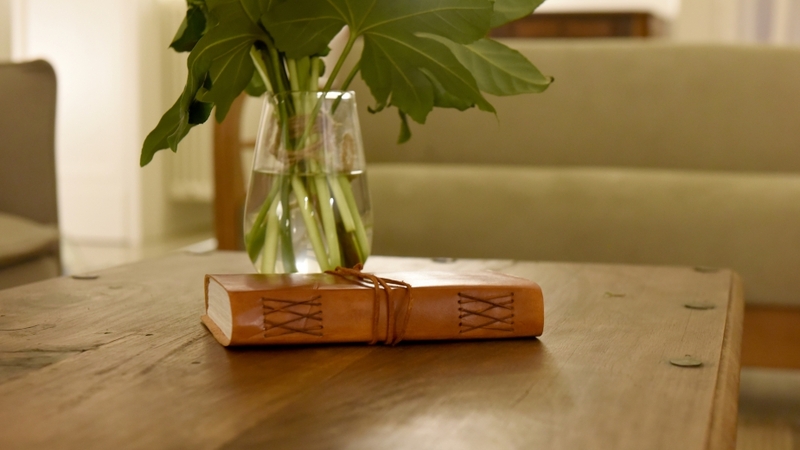 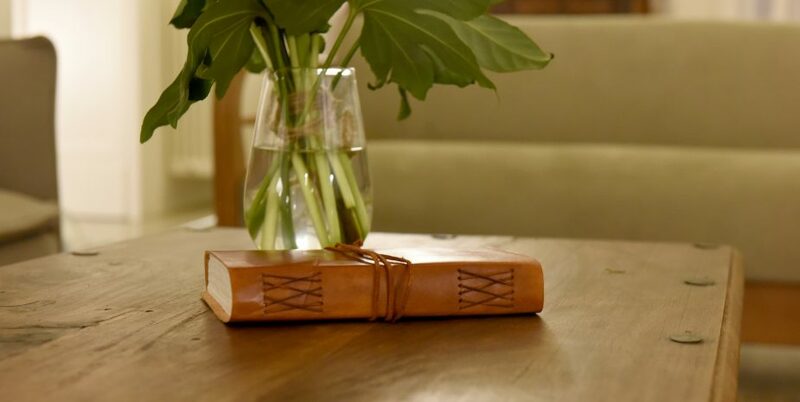 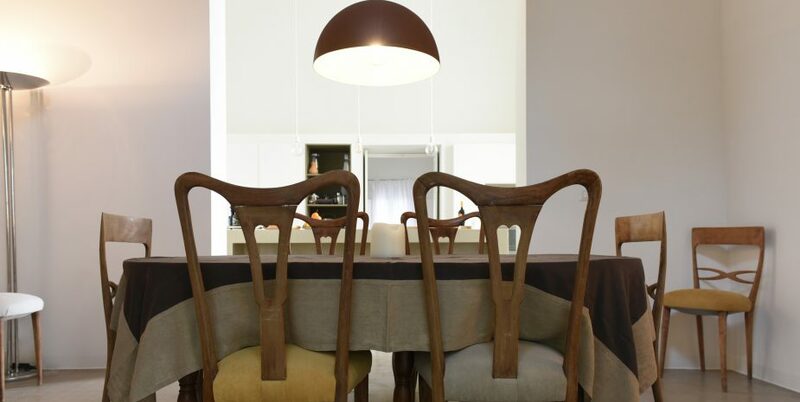 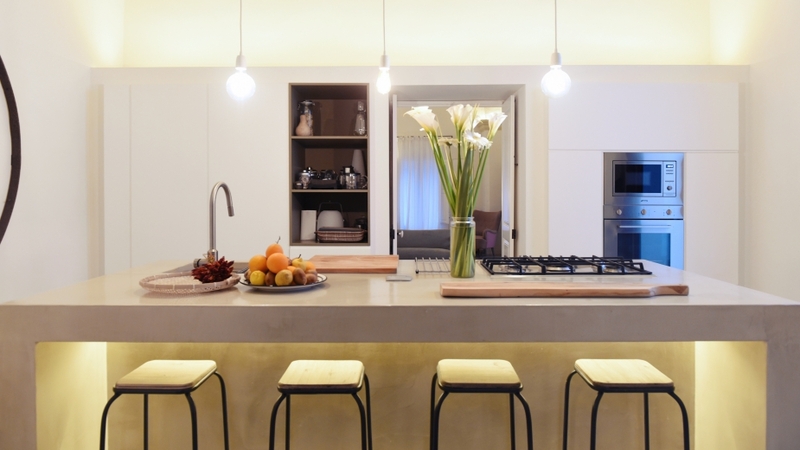 The decor is clean and minimalist, created by mixing modern and classic furniture. 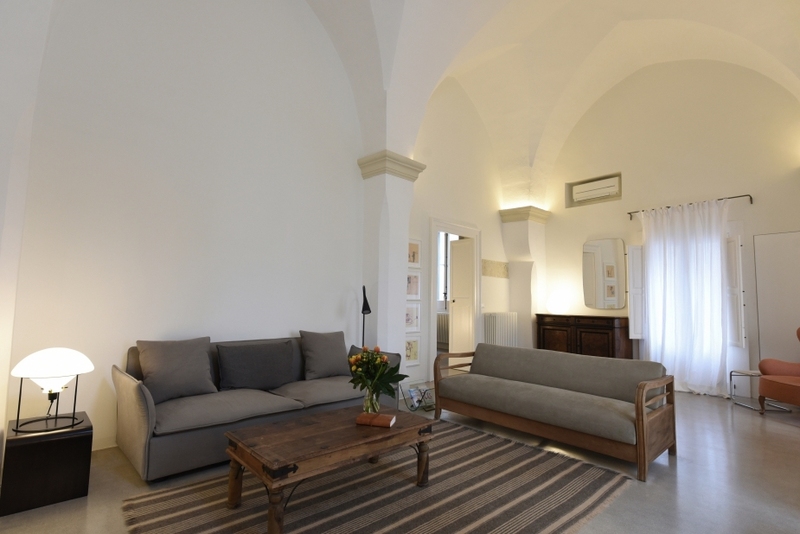 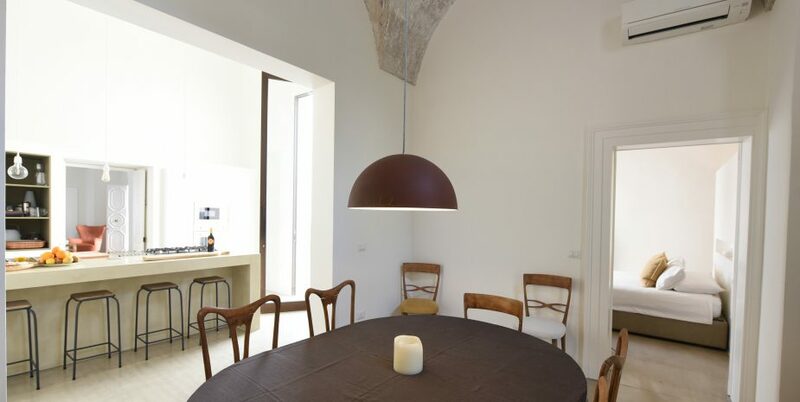 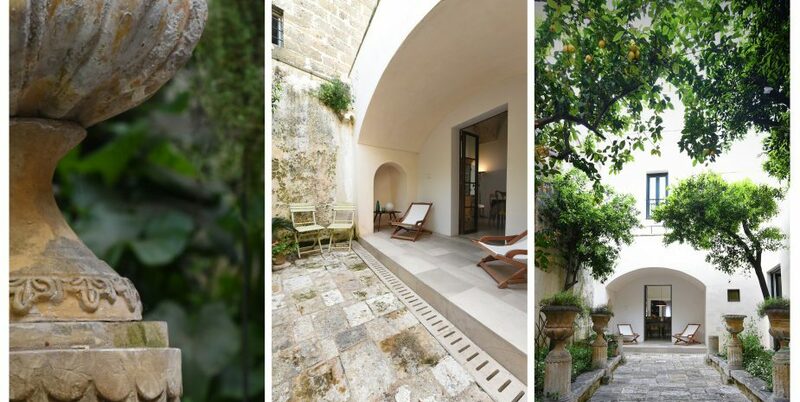 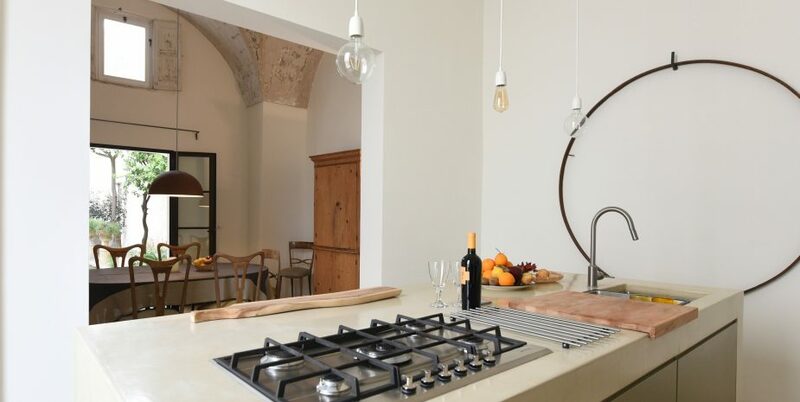 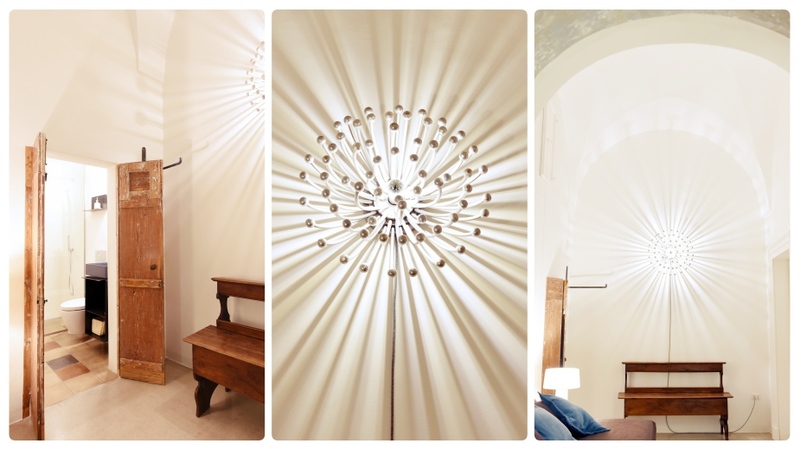 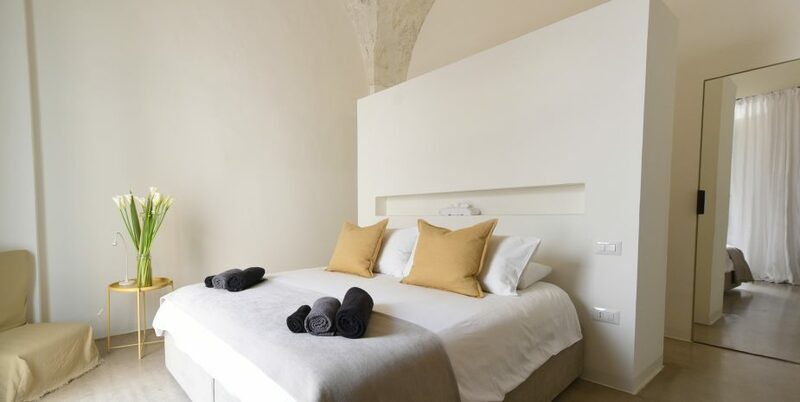 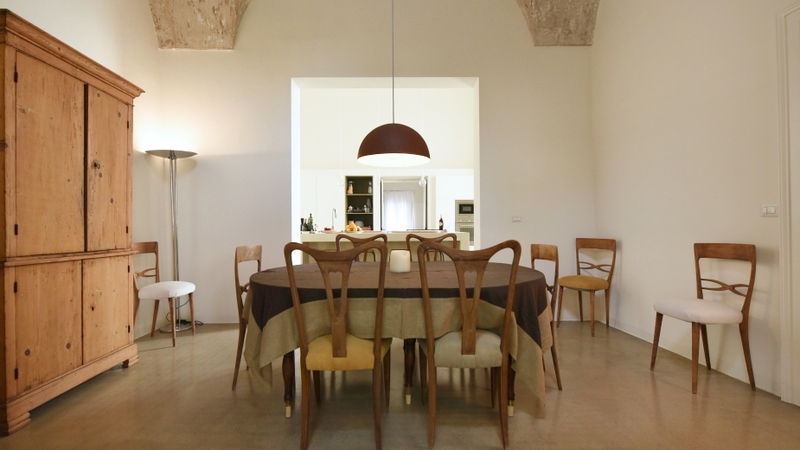 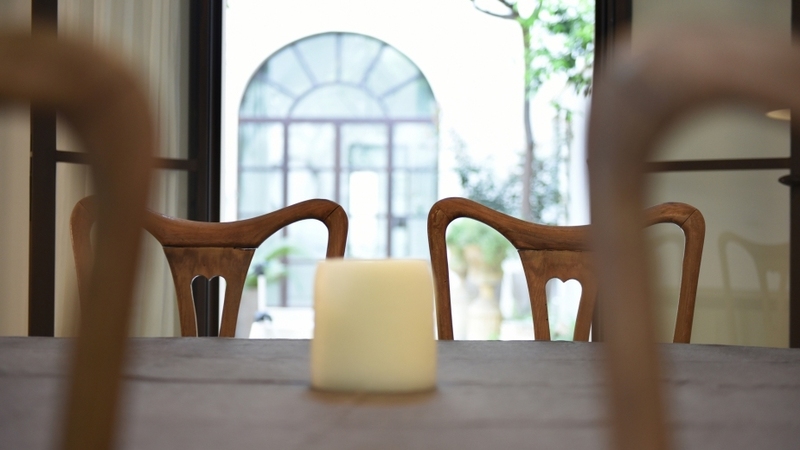 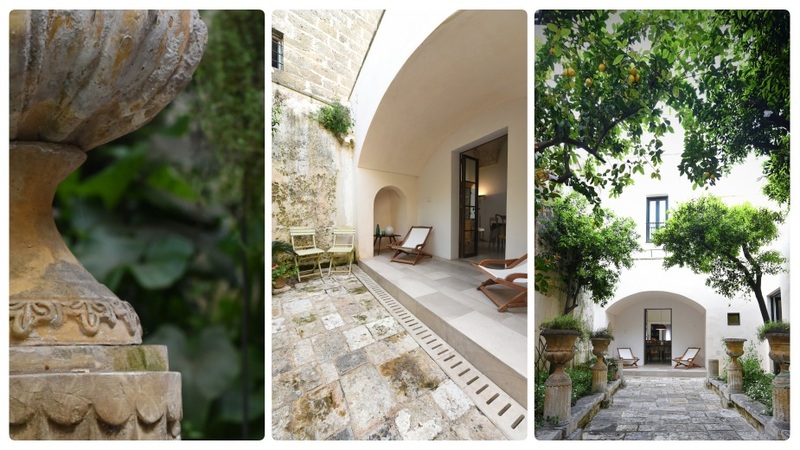 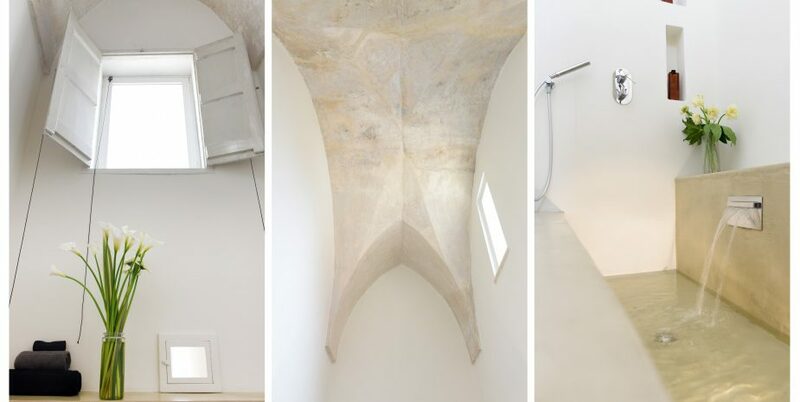 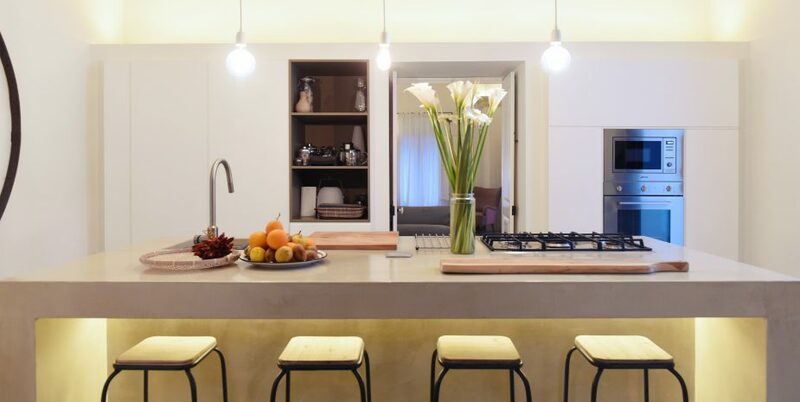 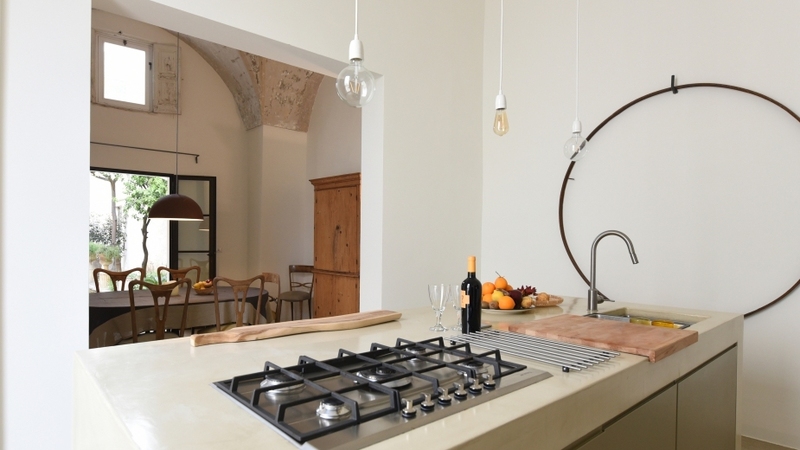 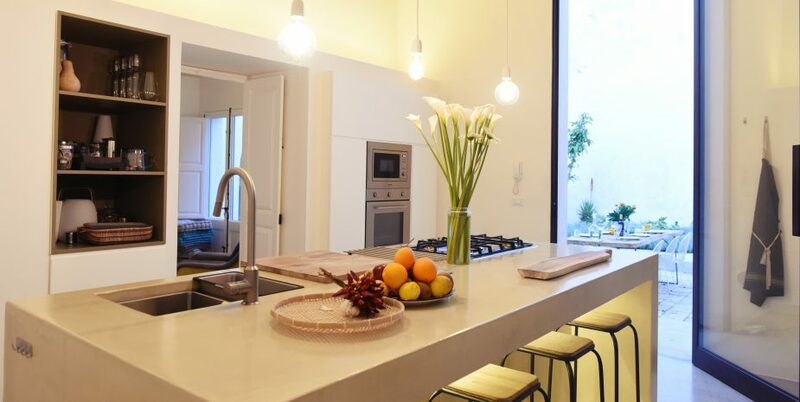 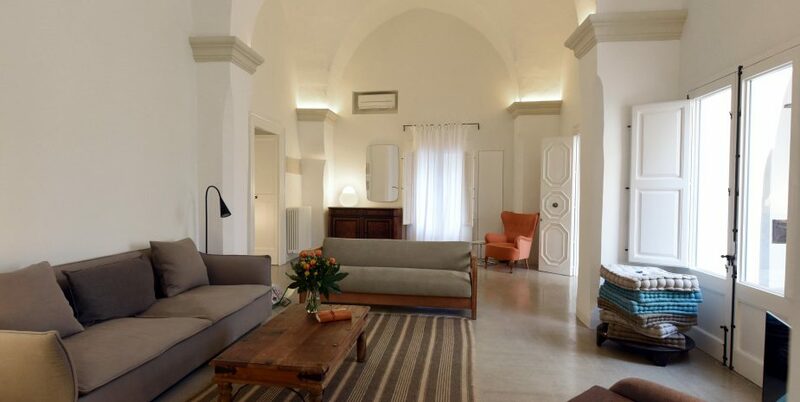 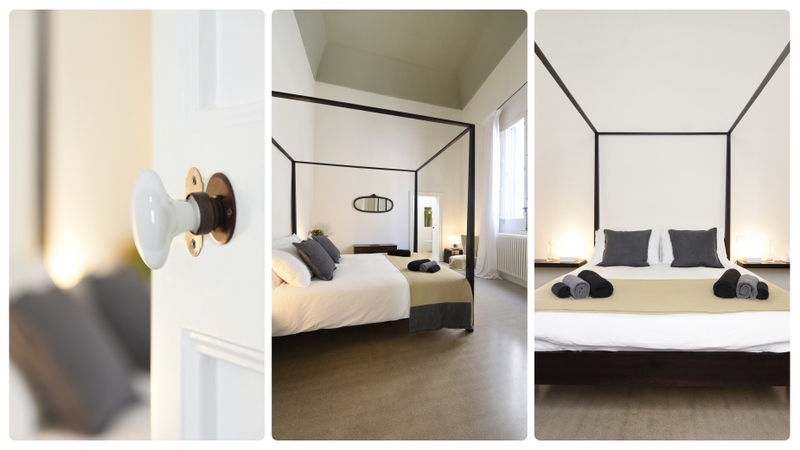 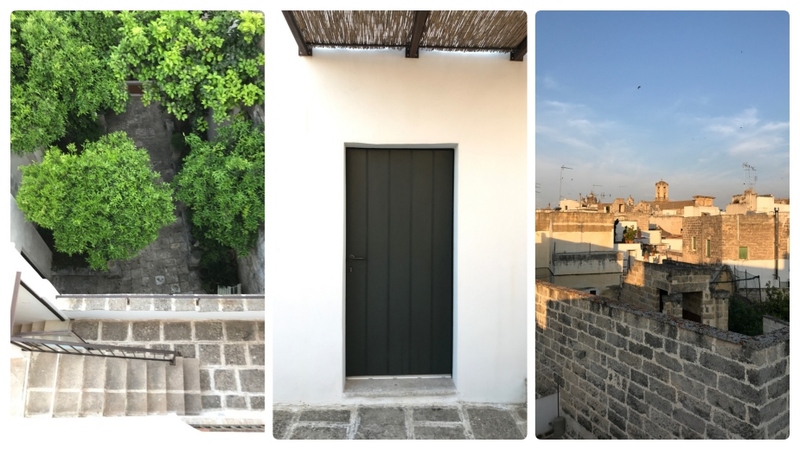 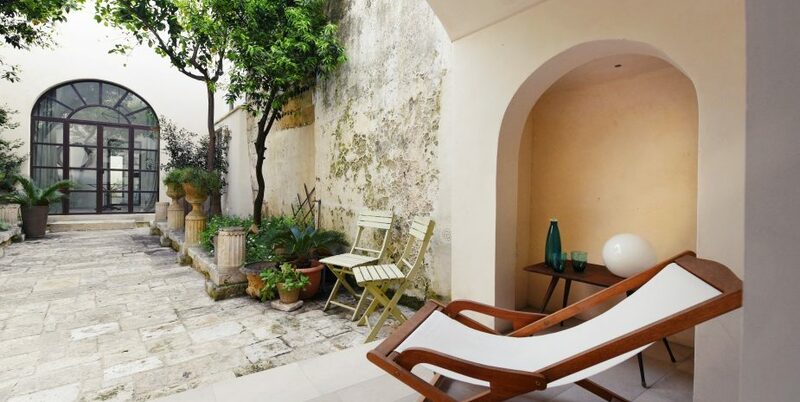 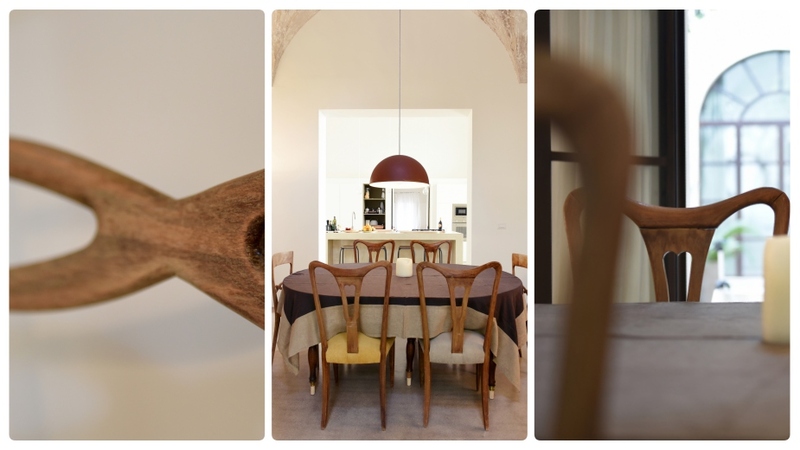 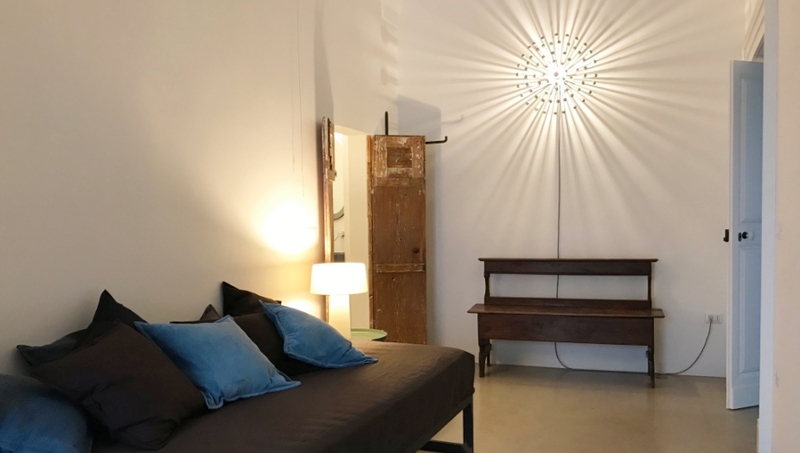 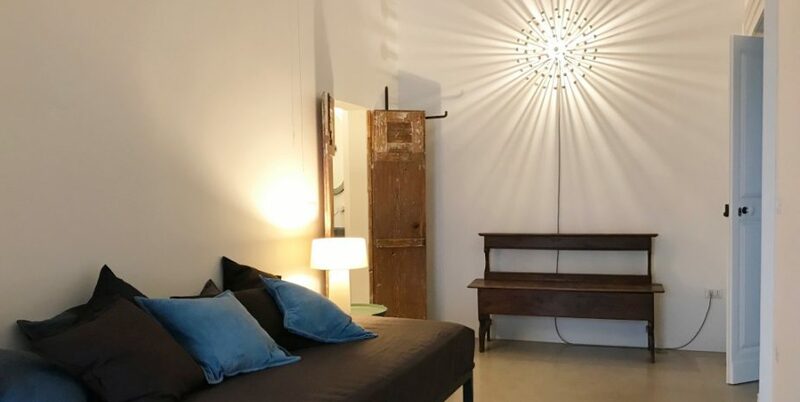 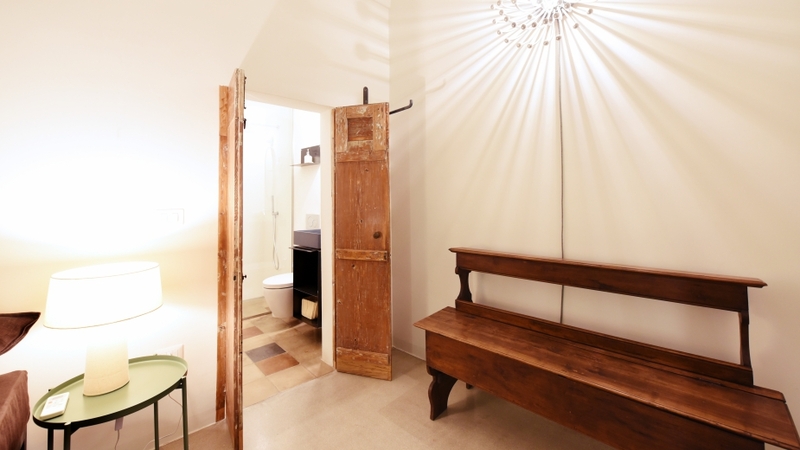 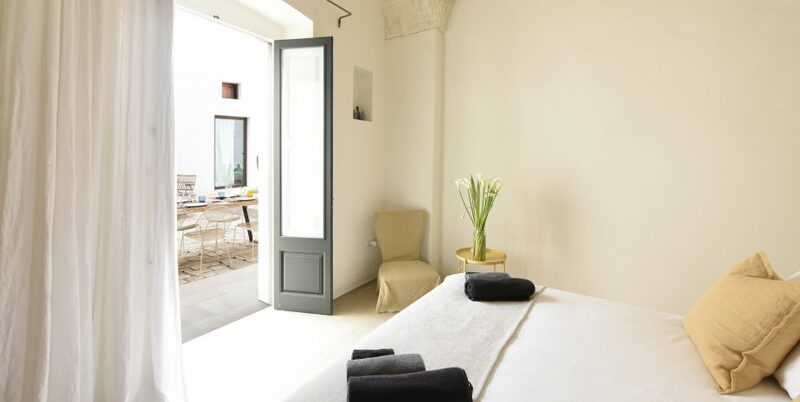 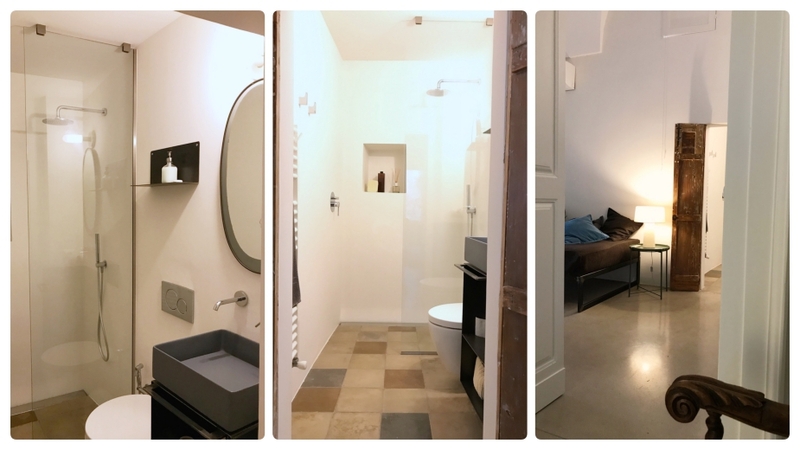 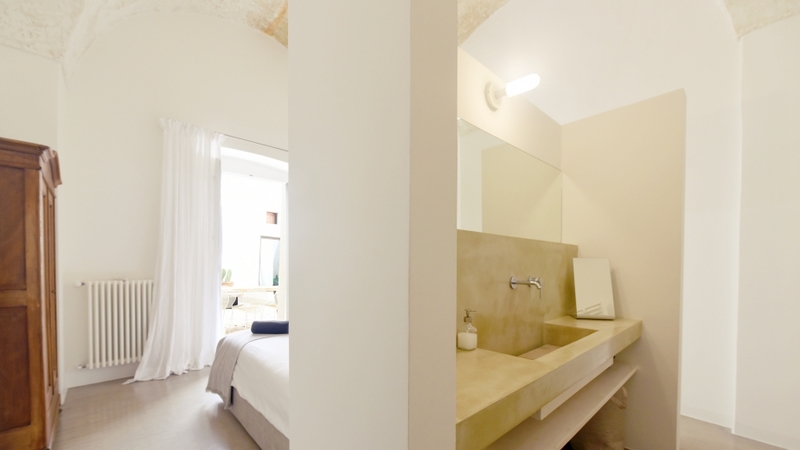 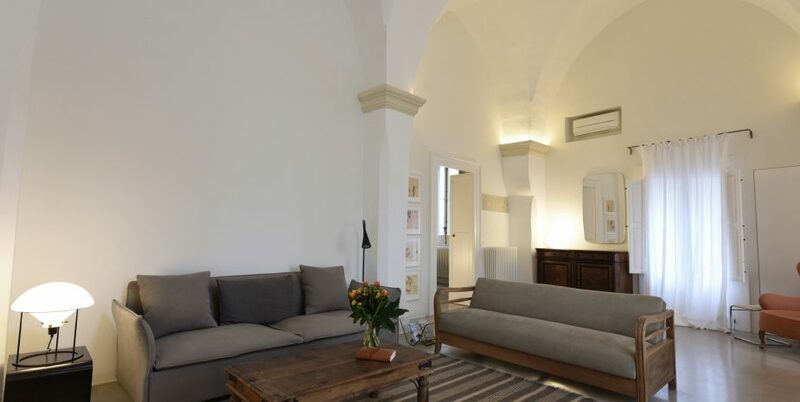 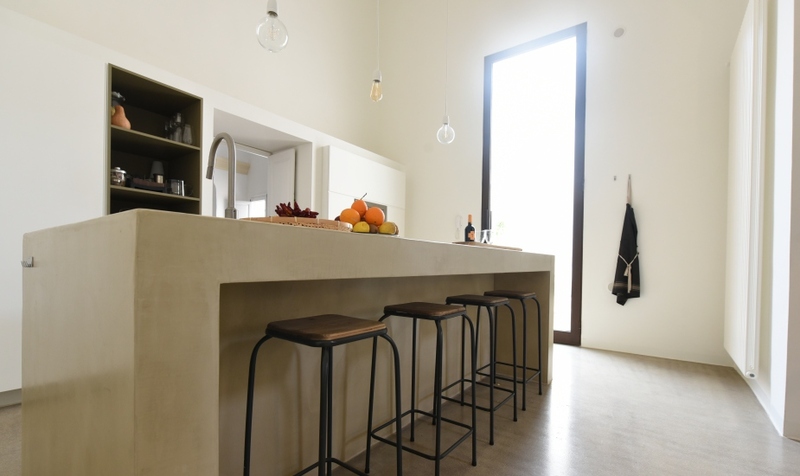 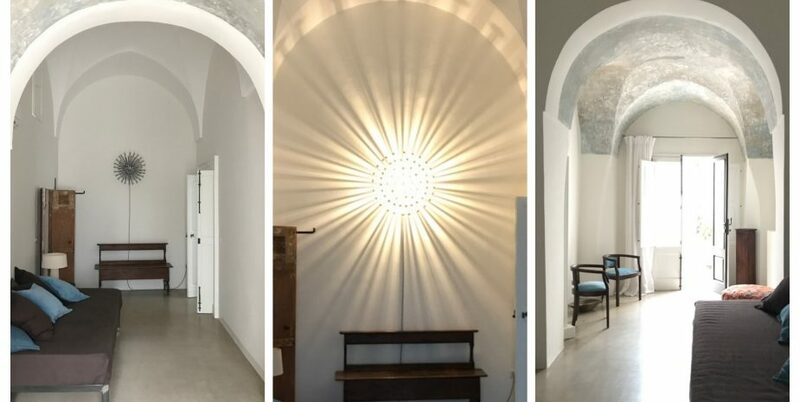 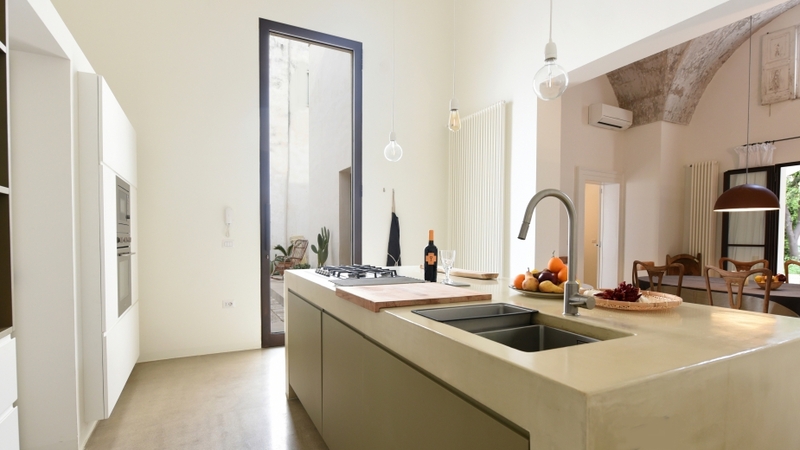 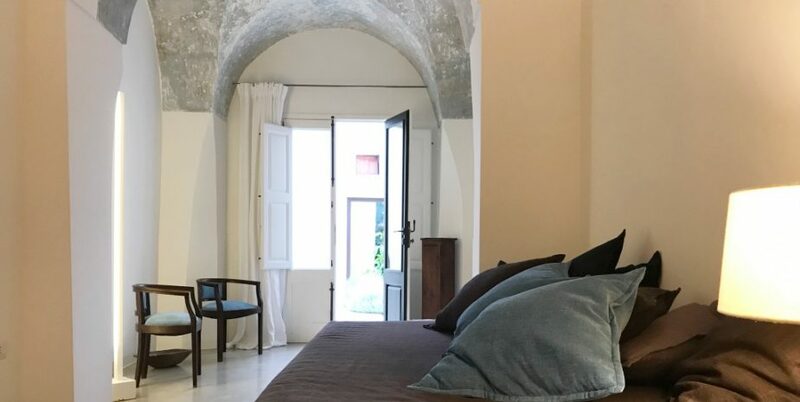 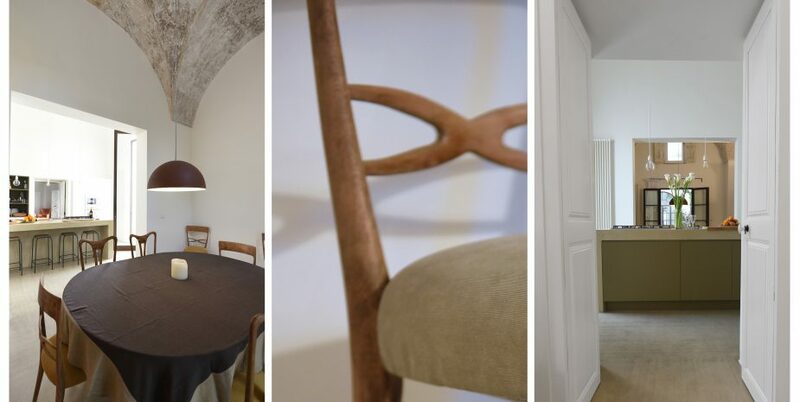 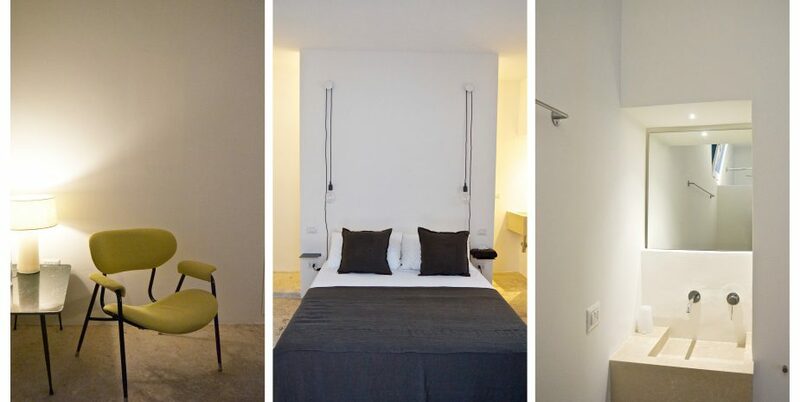 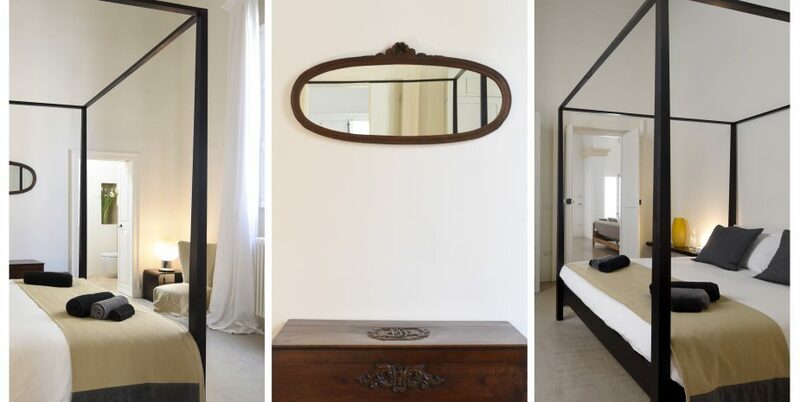 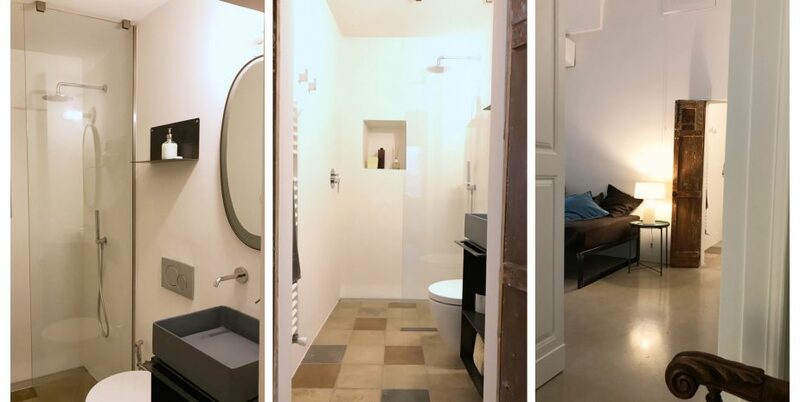 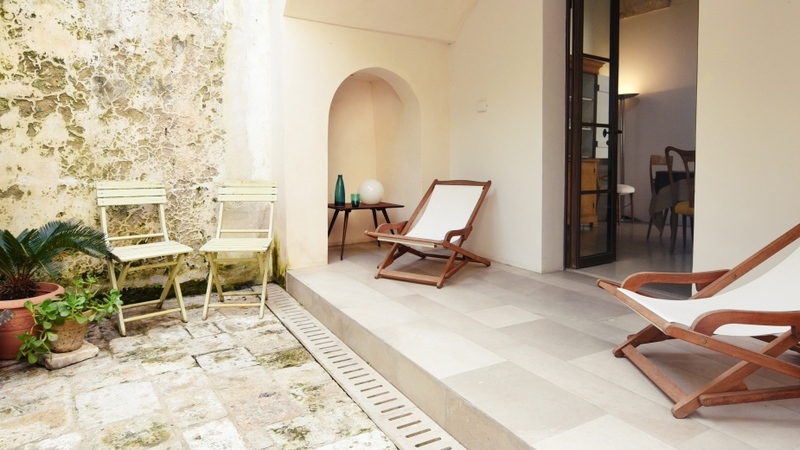 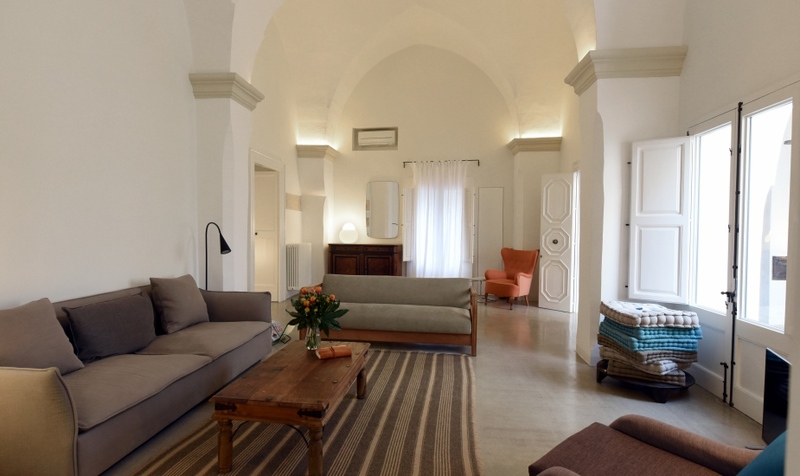 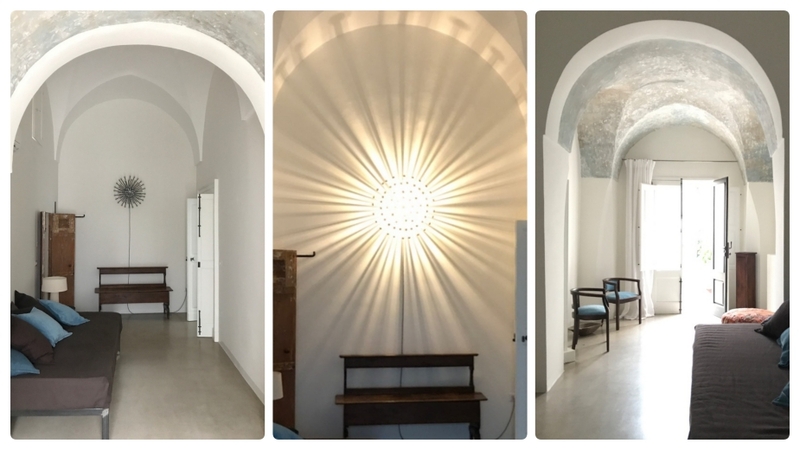 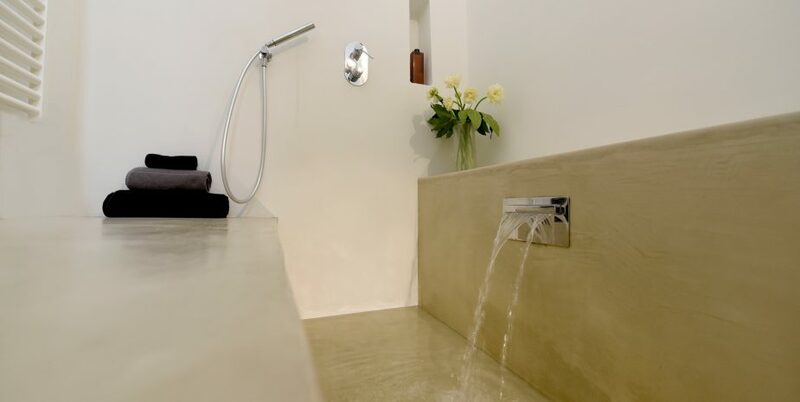 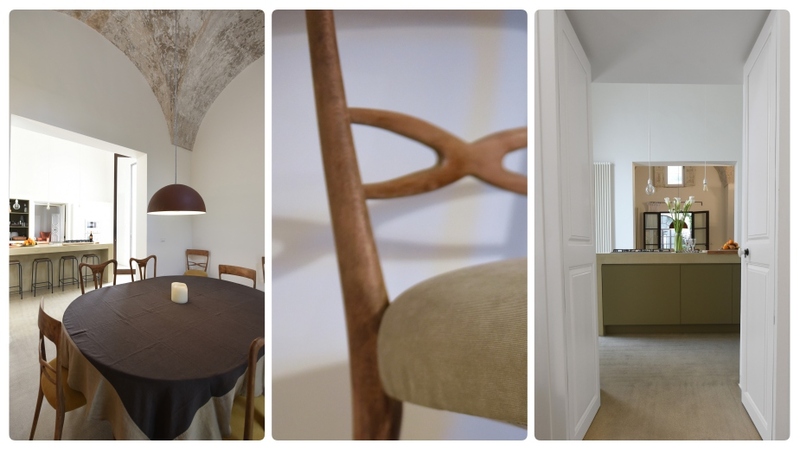 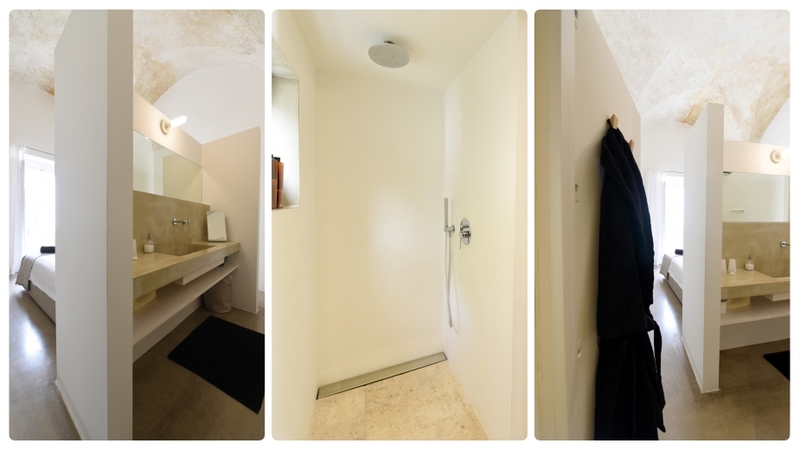 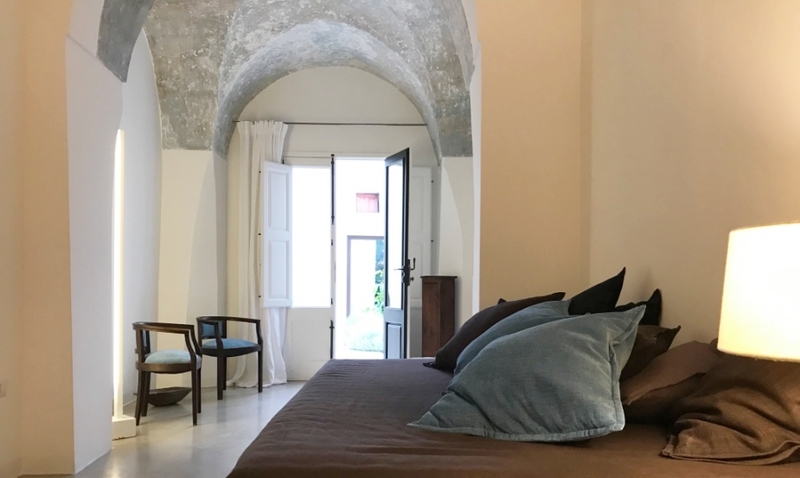 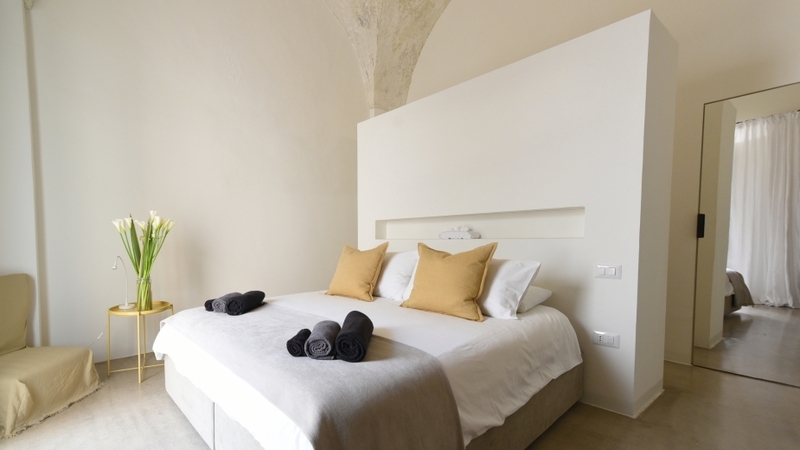 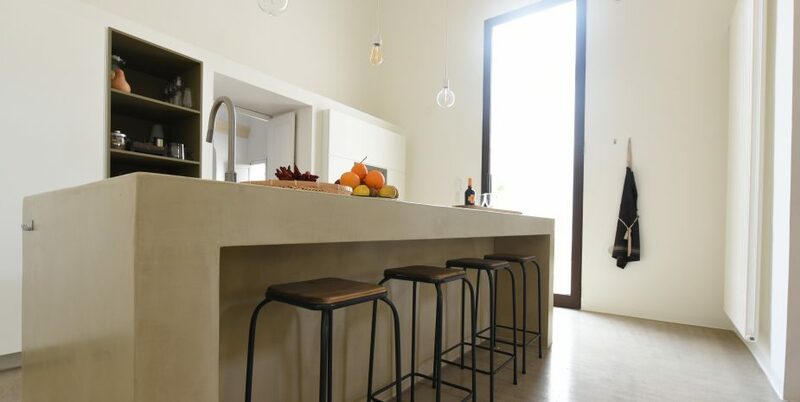 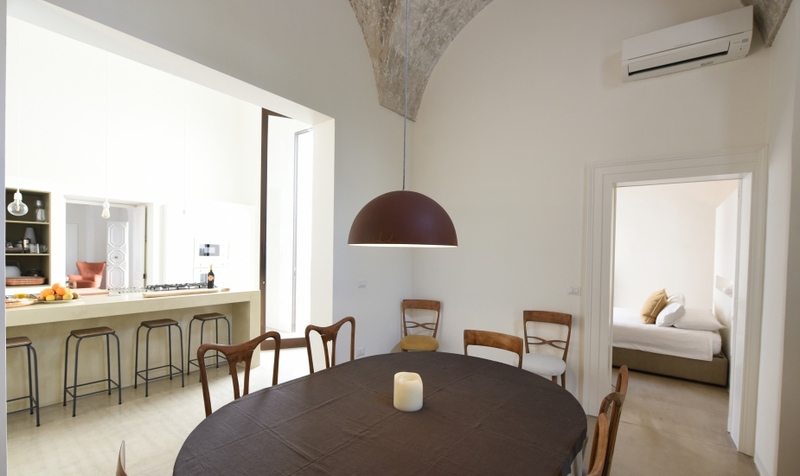 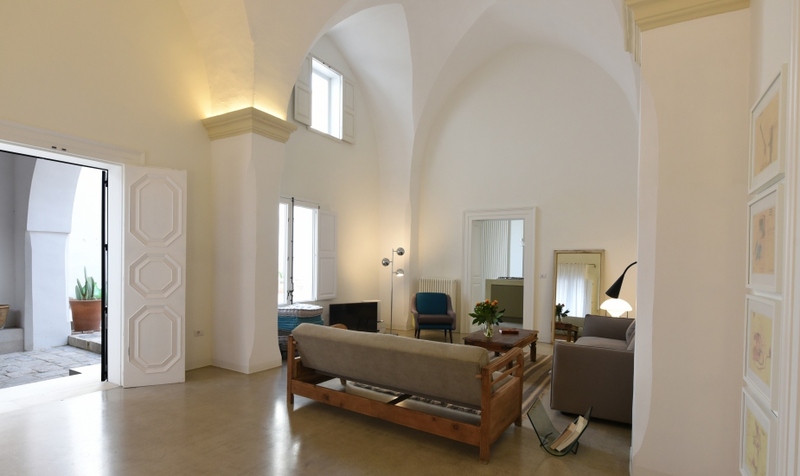 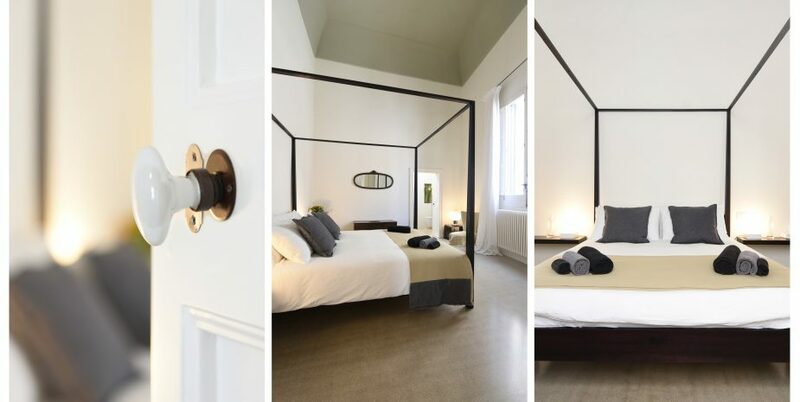 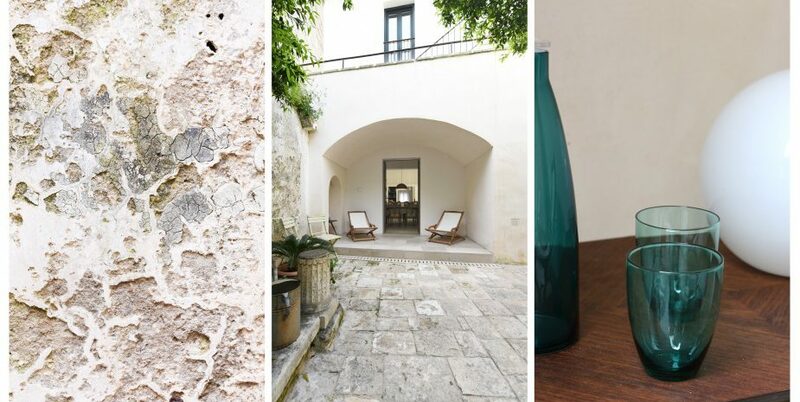 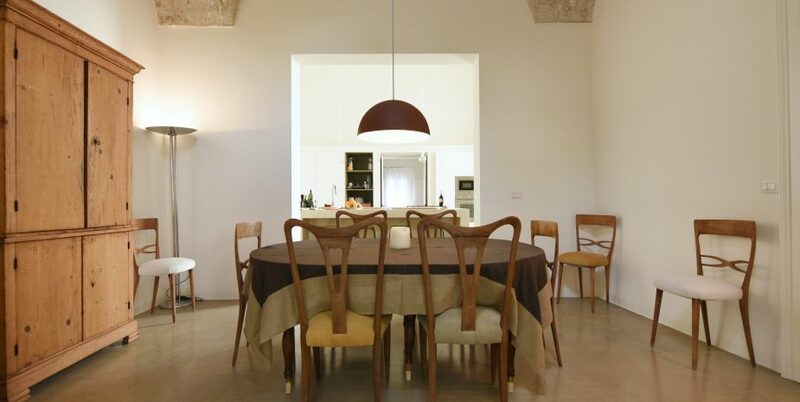 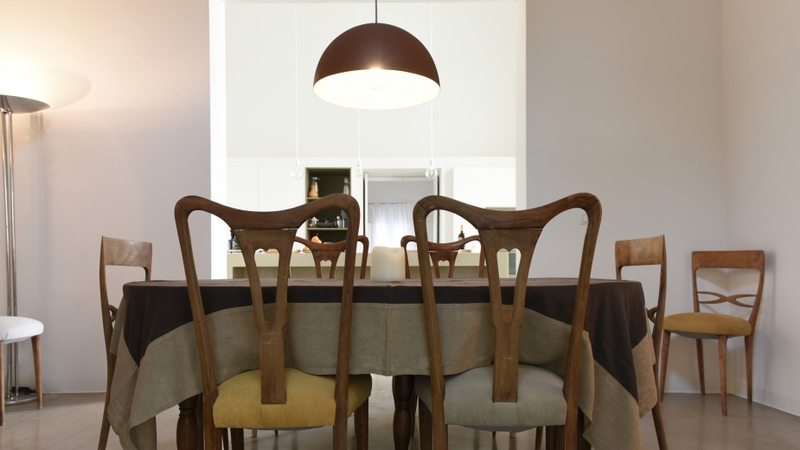 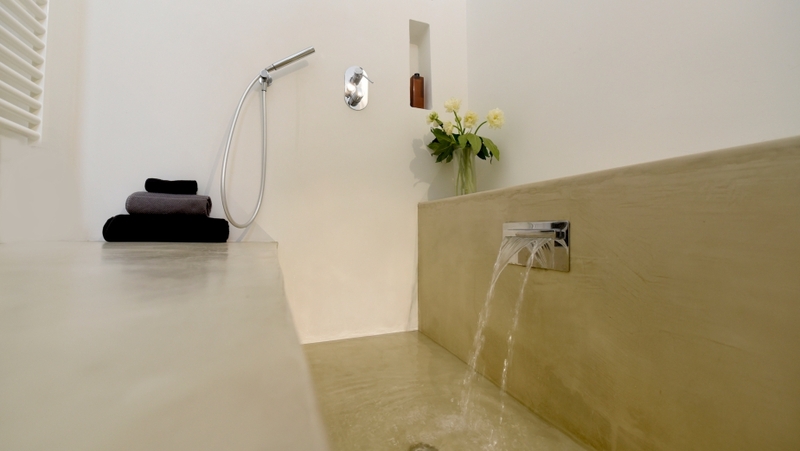 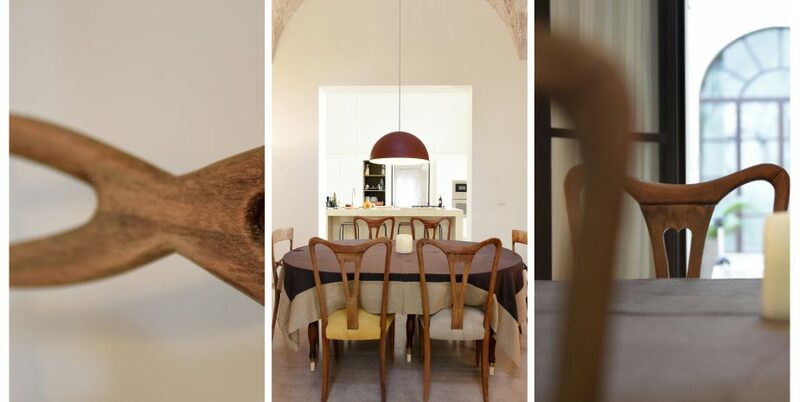 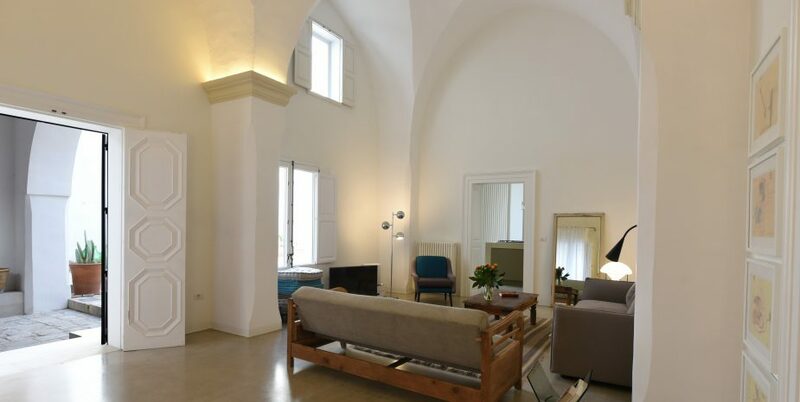 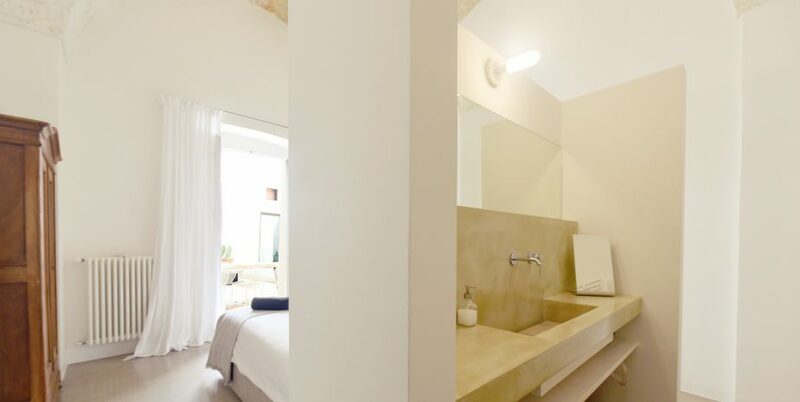 The house sleeps up to 7 people with three double bedrooms, one single bedroom, four en-suite bathrooms, and extensive terrace space offering views across the old town and the adjacent piazza with its 14th-century church, Madonna della Rosa. 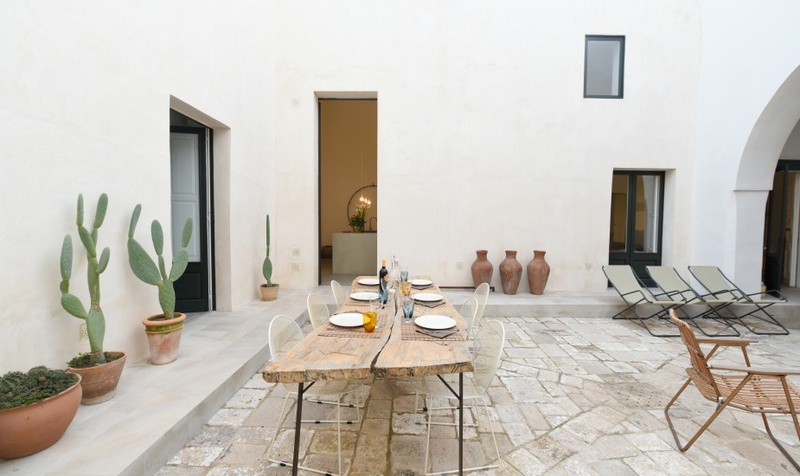 This holiday home can also be rented together with the Agrumeto garden house (sleeps up to 4 people) and the La Botte studio apartment (sleeps 2), offering a large living space for a maximum of 14 people. 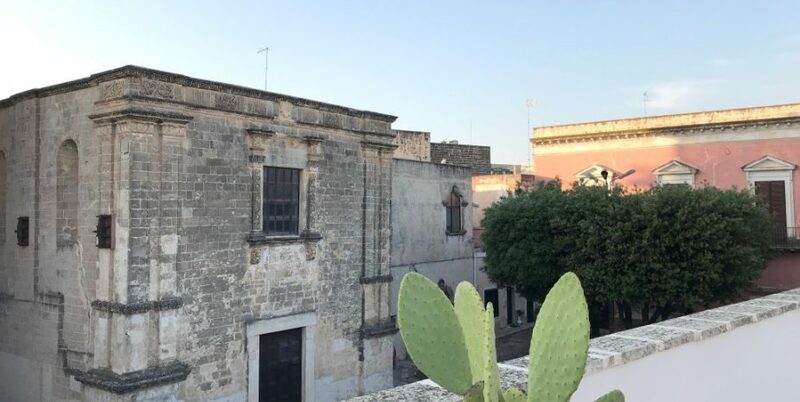 Piazza Salandra, the baroque, picturesque main square and the Castello Aragonese with its botanical garden are both just 250 meters from the house. 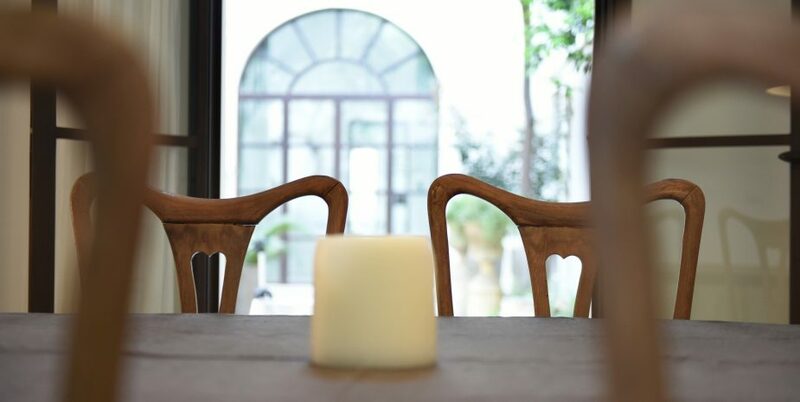 Shops, supermarkets bars and restaurants are all within walking distance and we will supply you with a map indicating all of these. 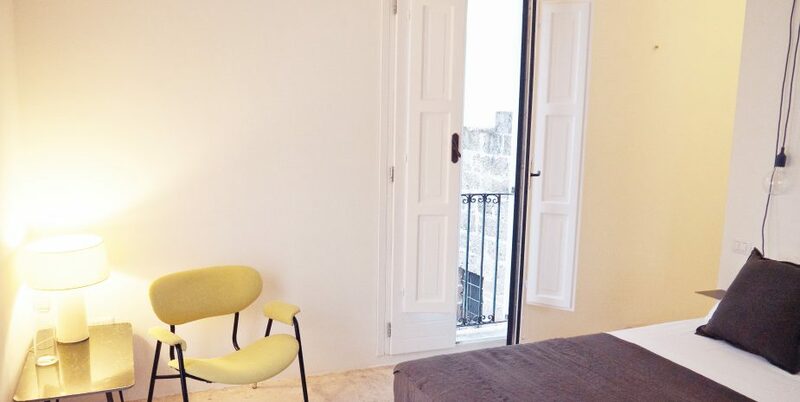 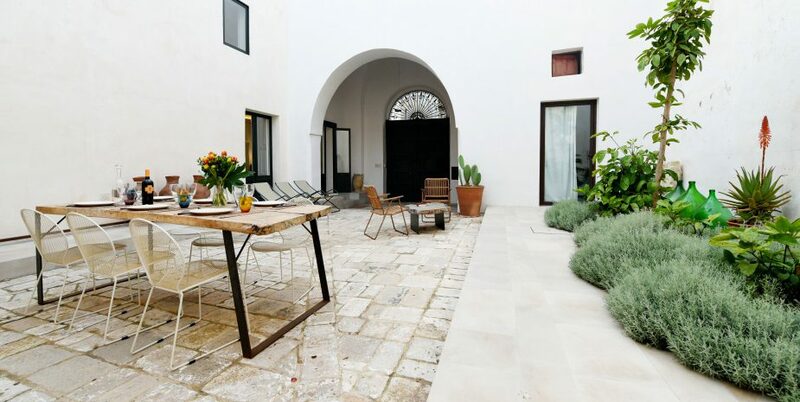 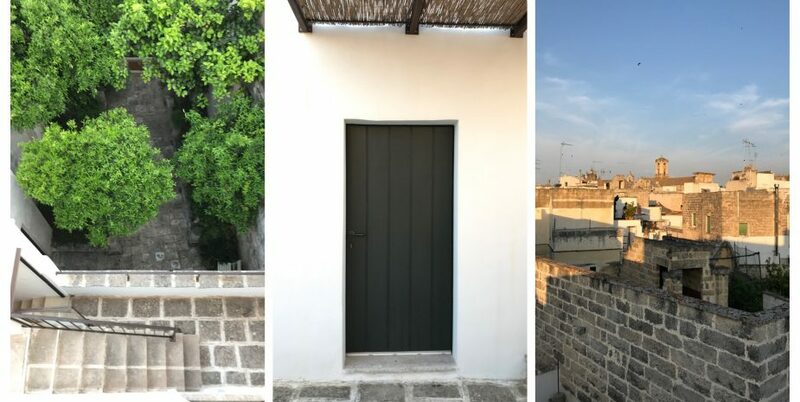 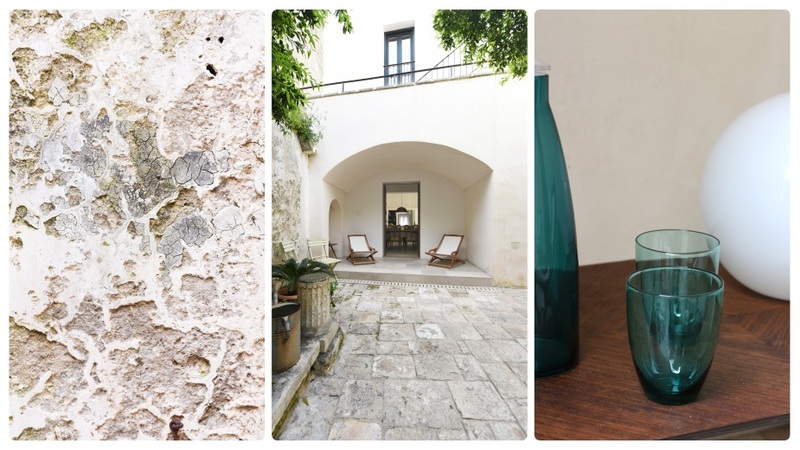 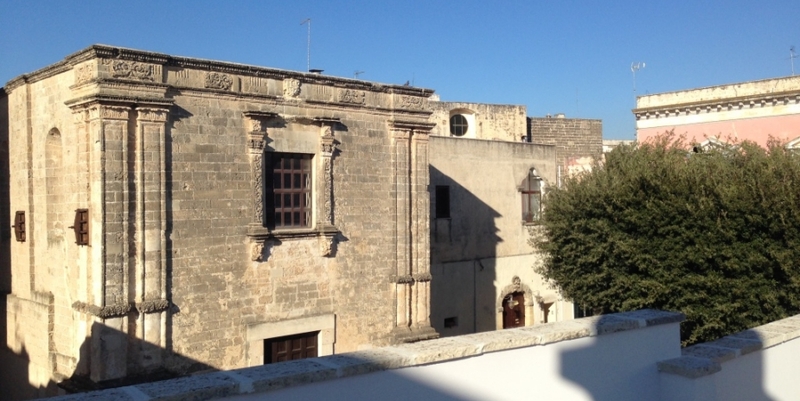 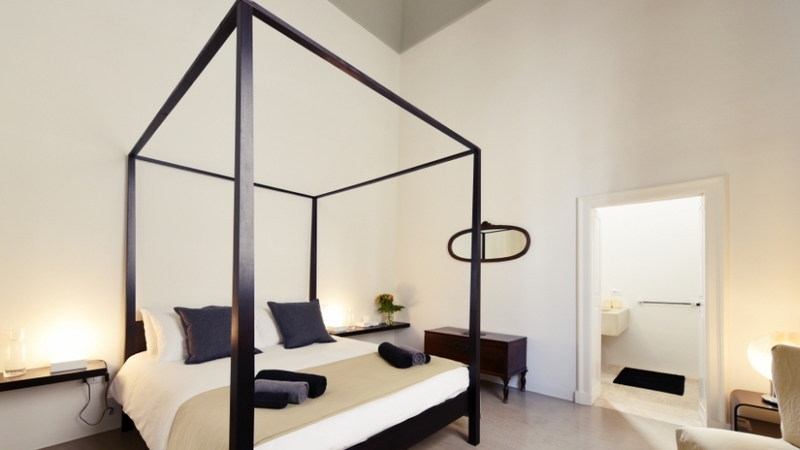 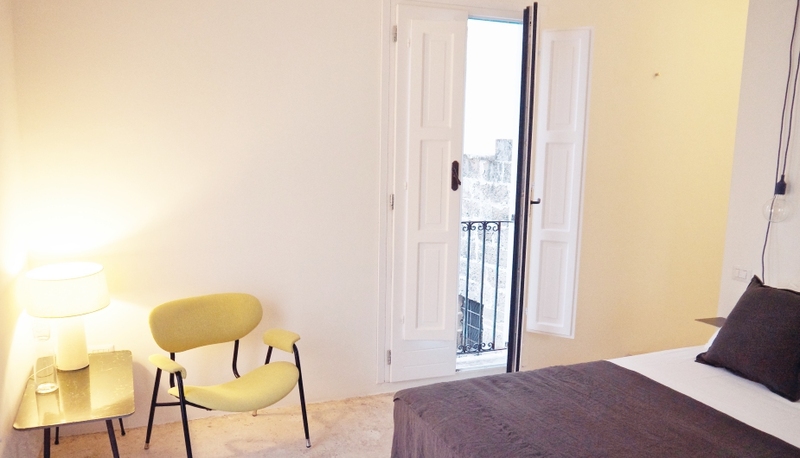 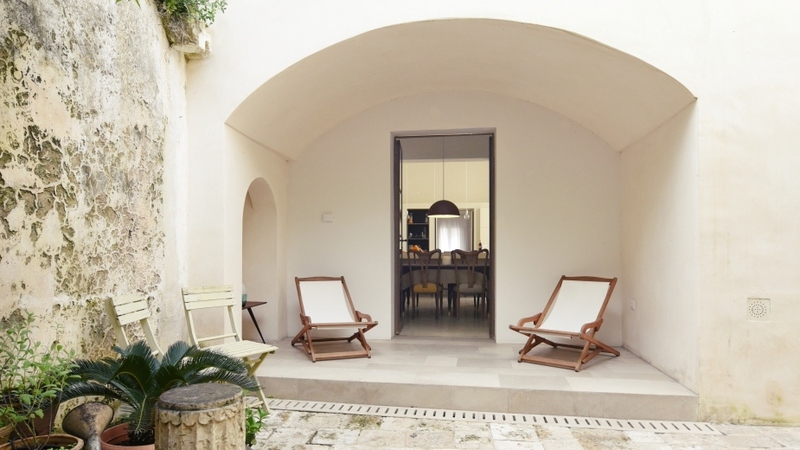 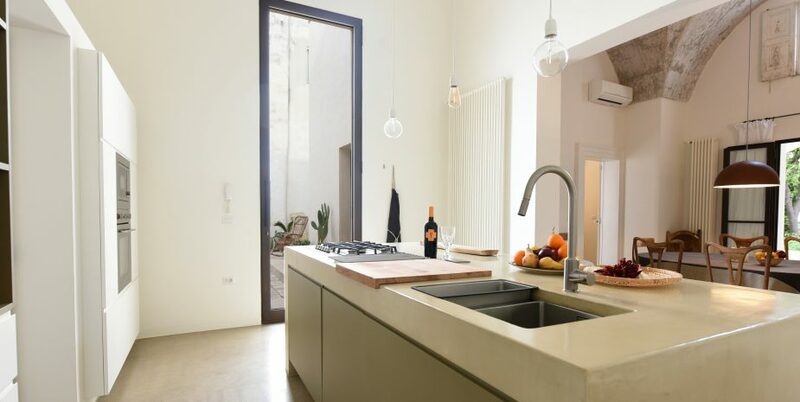 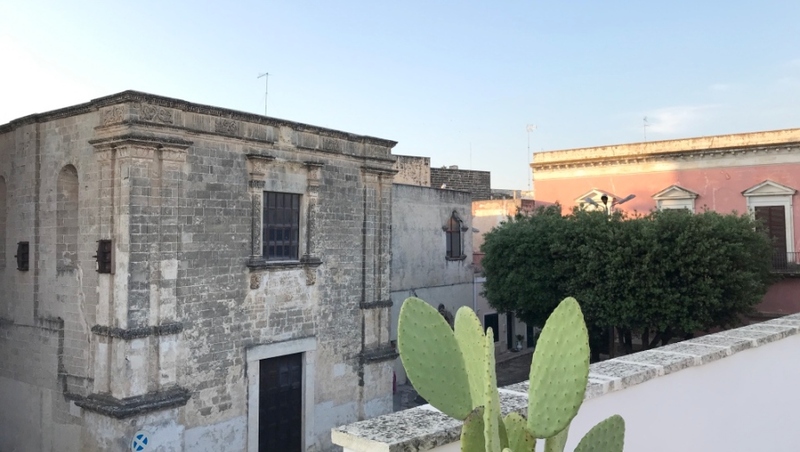 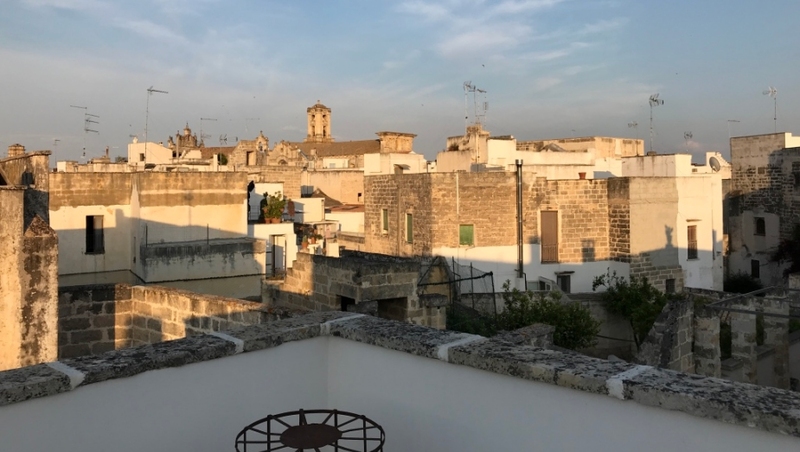 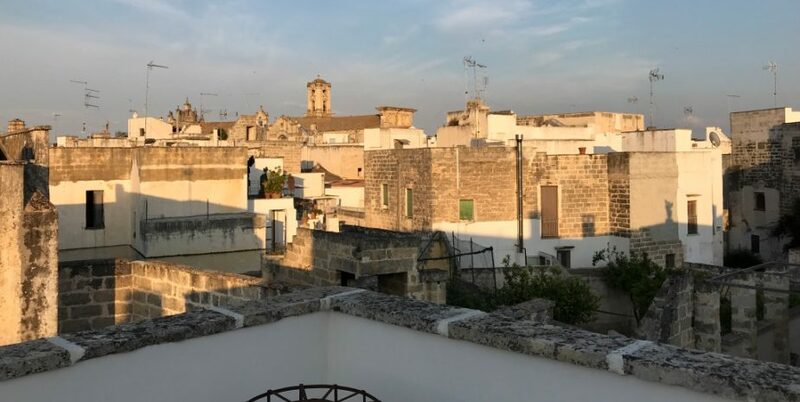 Nardò is just 5 miles from the Ionian sea and a short drive from other historic towns, including Lecce, Galatina, Gallipoli, Maglie and Otranto. 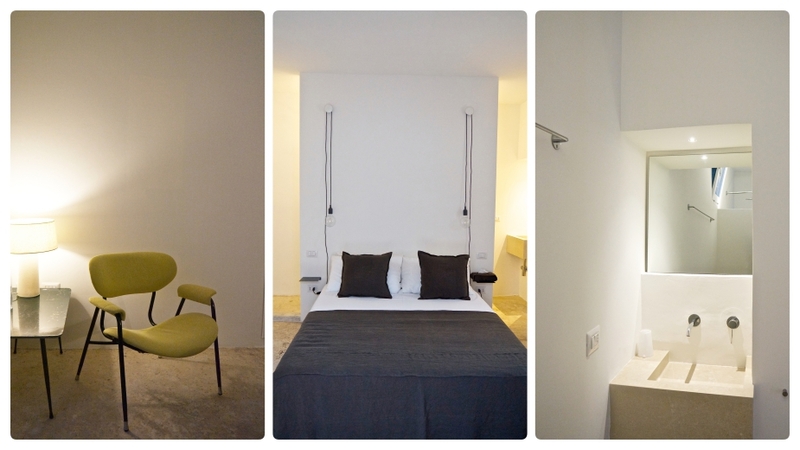 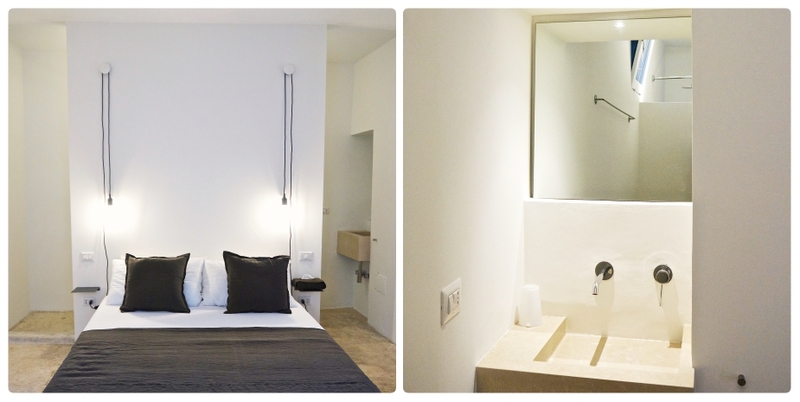 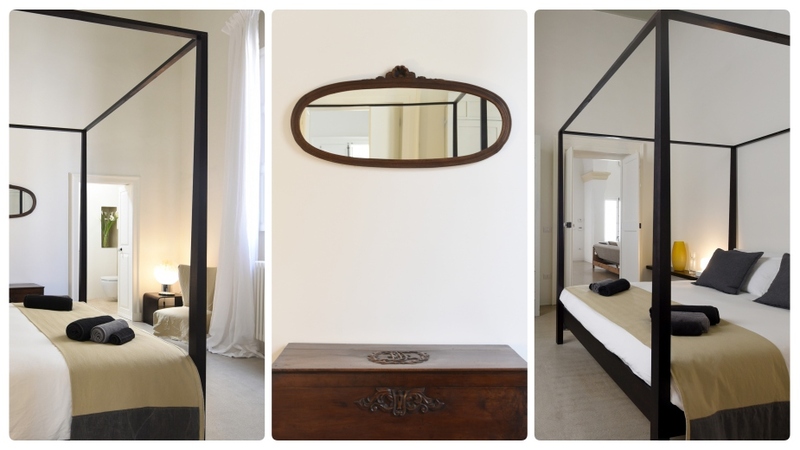 Welcome to your home from home in Nardò! 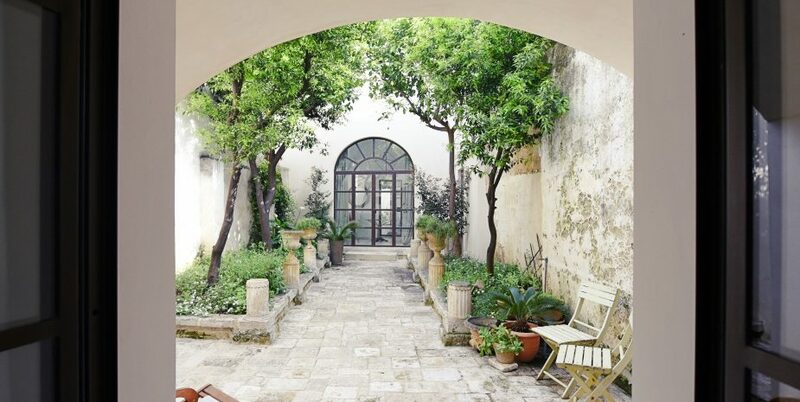 Enter the house from the covered atrium, into the double star-vaulted living room, to find a sizeable fully equipped kitchen, and dining room with French windows opening onto a patio and citrus garden. 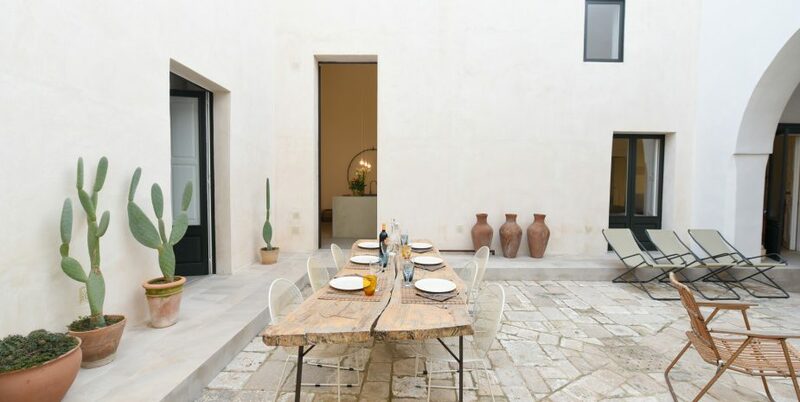 A huge glass door in the kitchen also opens out onto the courtyard, which has been furnished with a table for dining al fresco. 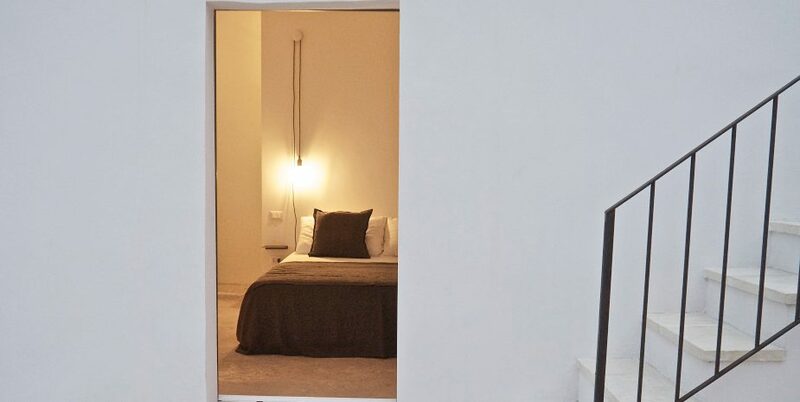 A double bedroom, with star-vaulted en-suite bathroom, is accessed from the living room, whilst another en-suite double bedroom is next to the dining room and looks out onto the private courtyard. 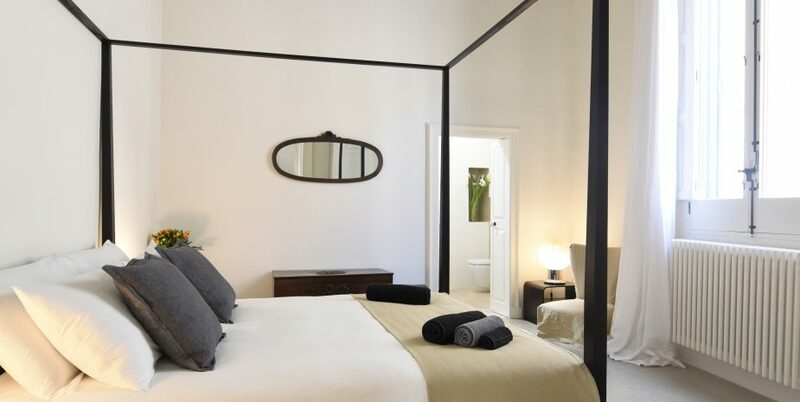 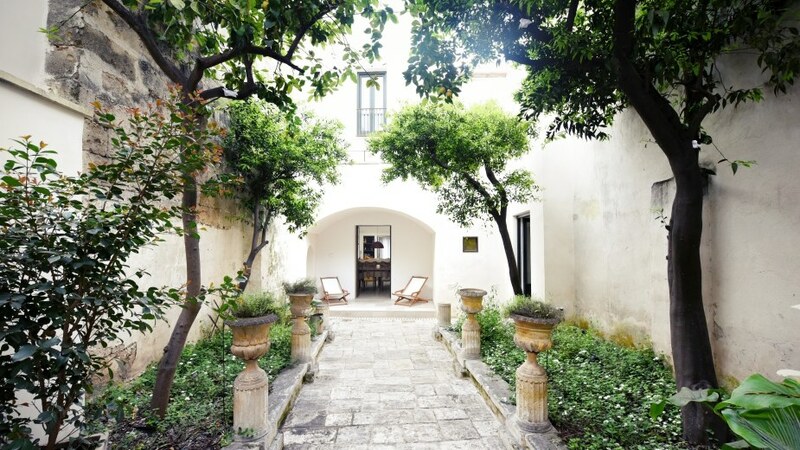 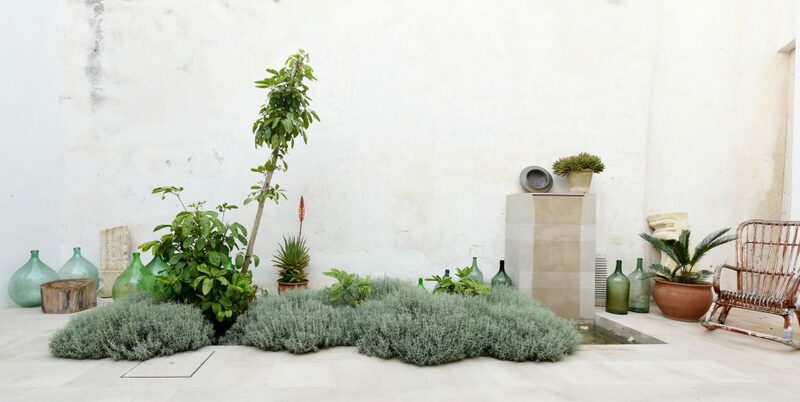 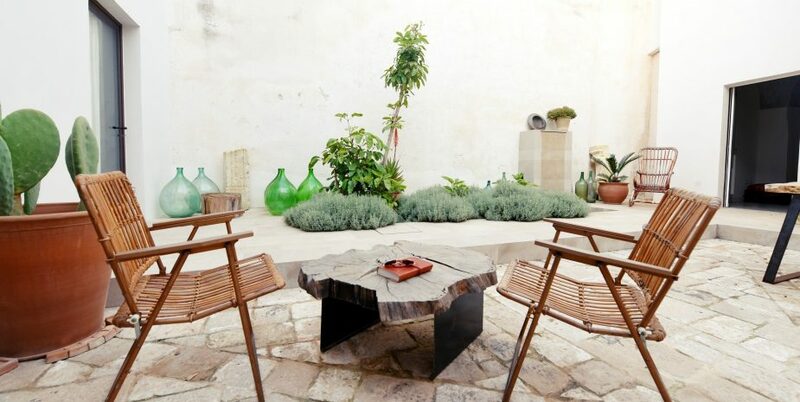 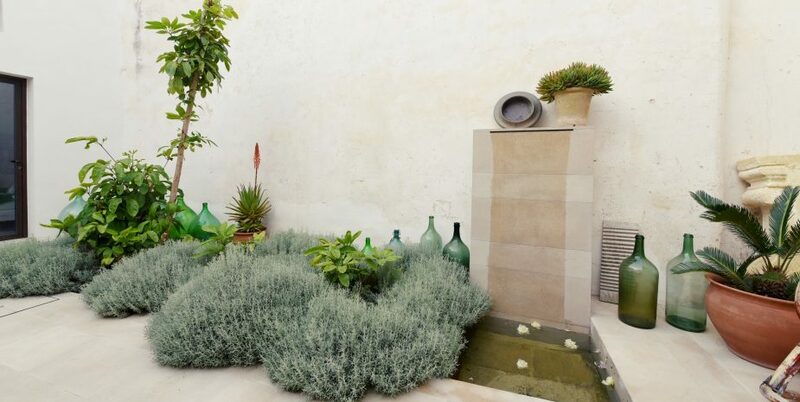 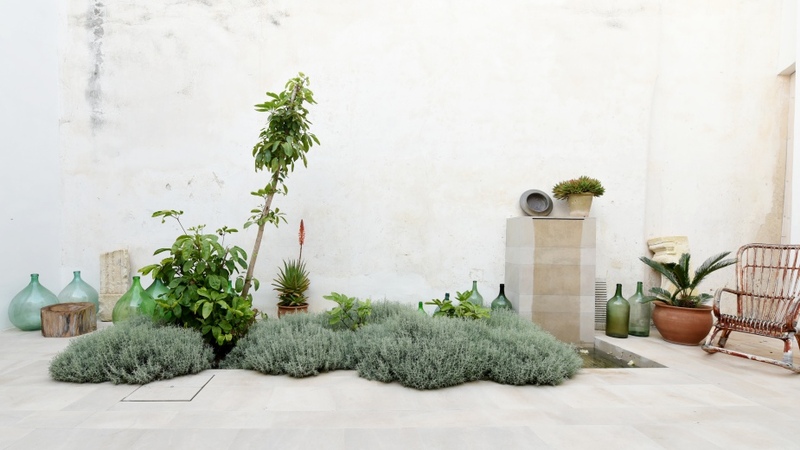 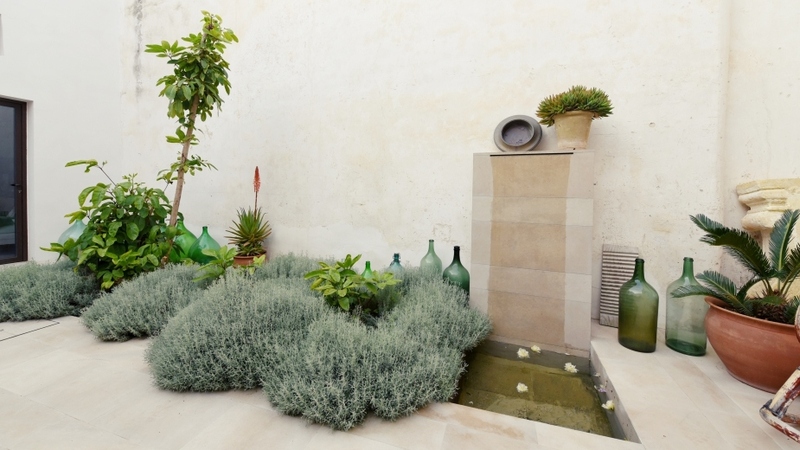 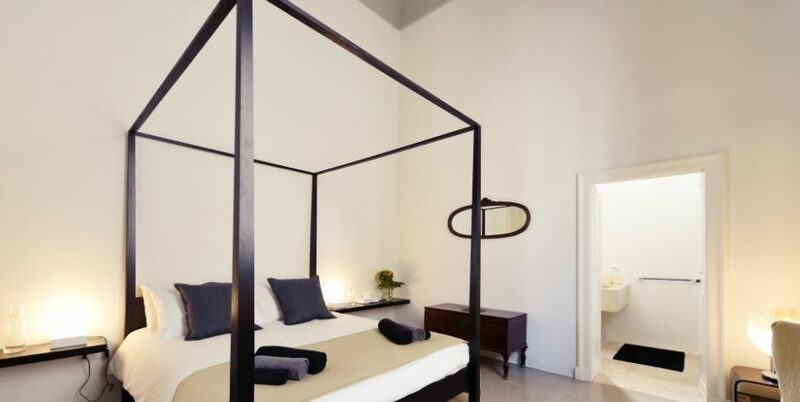 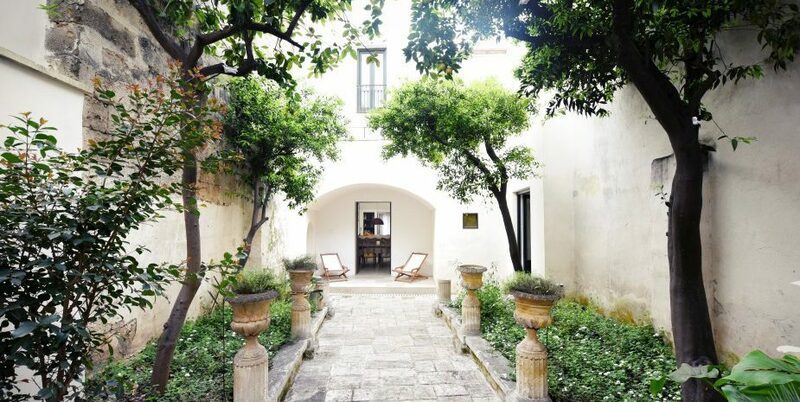 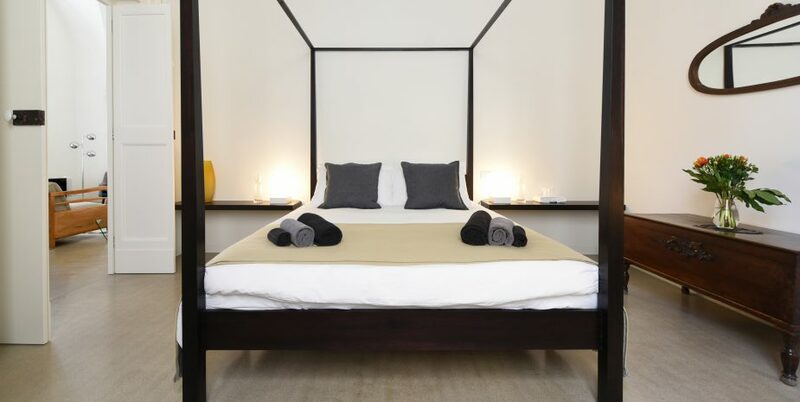 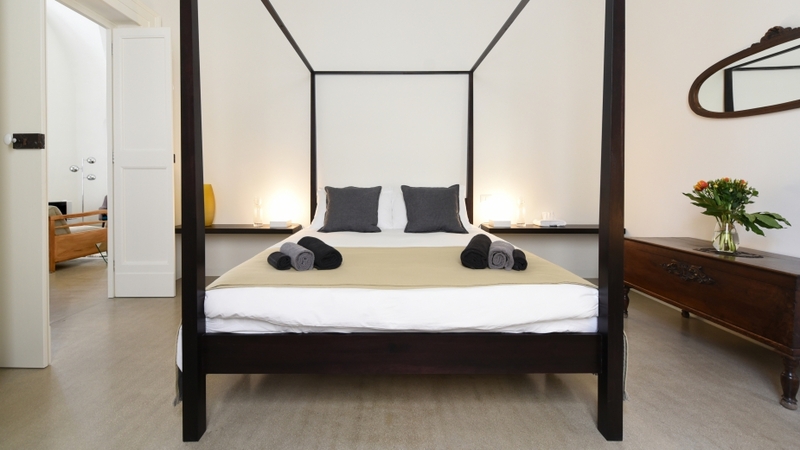 The courtyard leads to a further room with a daybed and its own bathroom, and then the citrus room which leads you out to the patio and citrus garden. 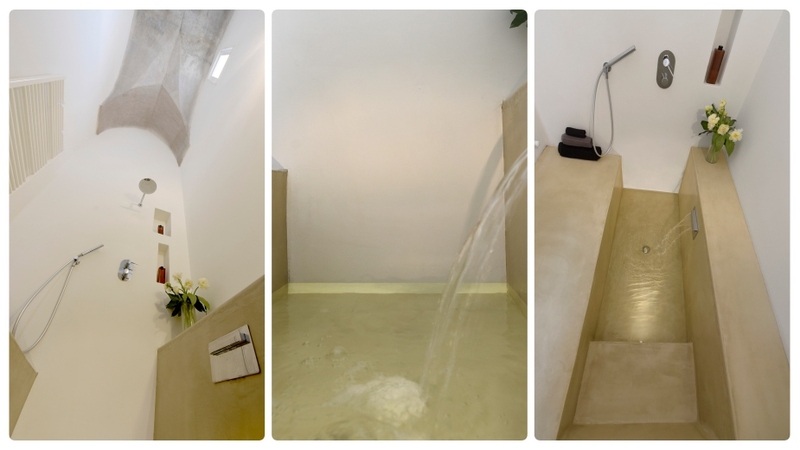 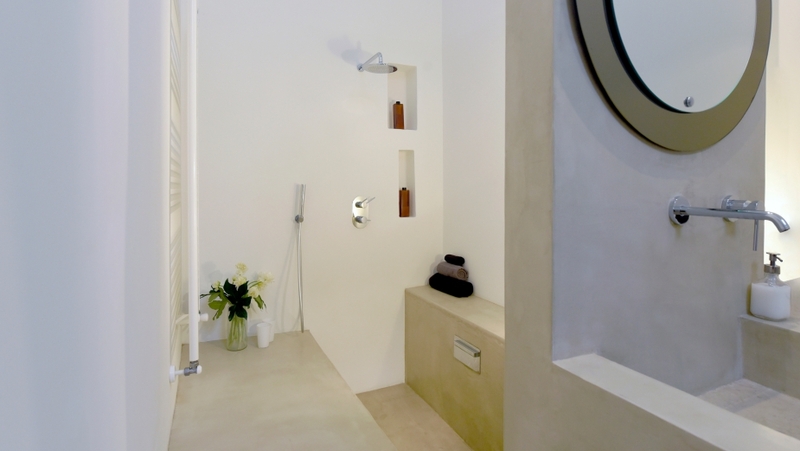 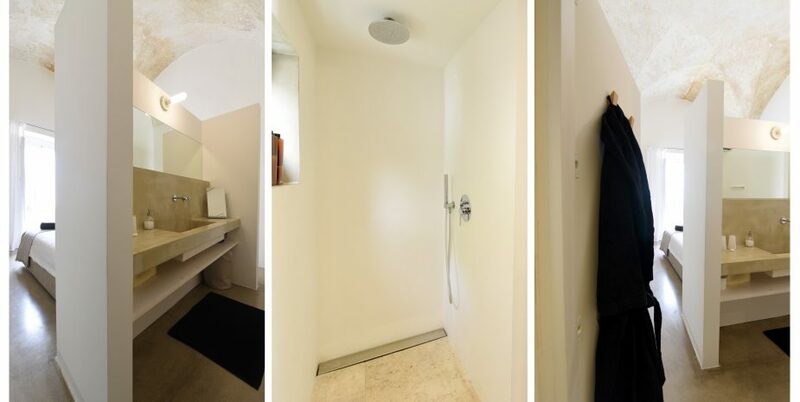 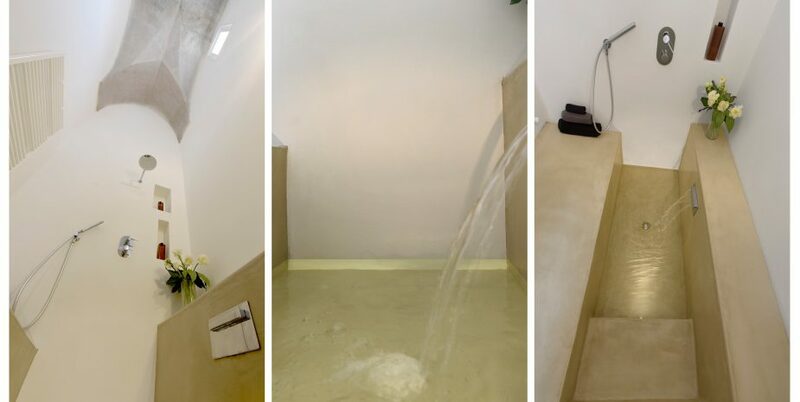 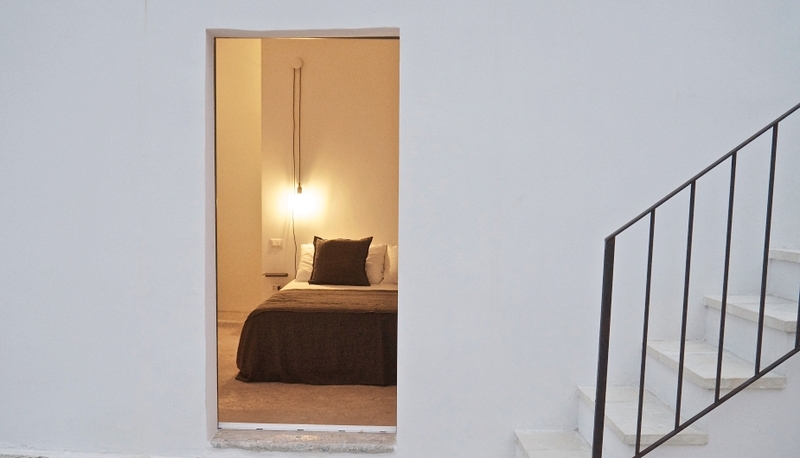 Take the stairs from here to the first floor to find another double bedroom with shower and toilet. 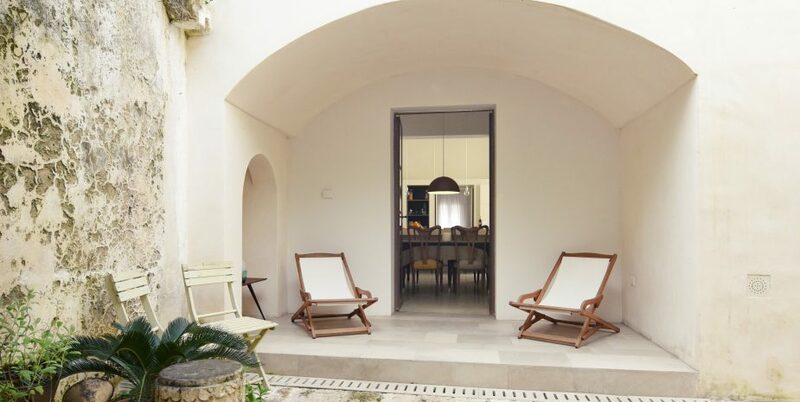 This room is surrounded by sun terraces, one of which is equipped with an outdoor kitchen, a pergola shaded dining table and a laundry room. 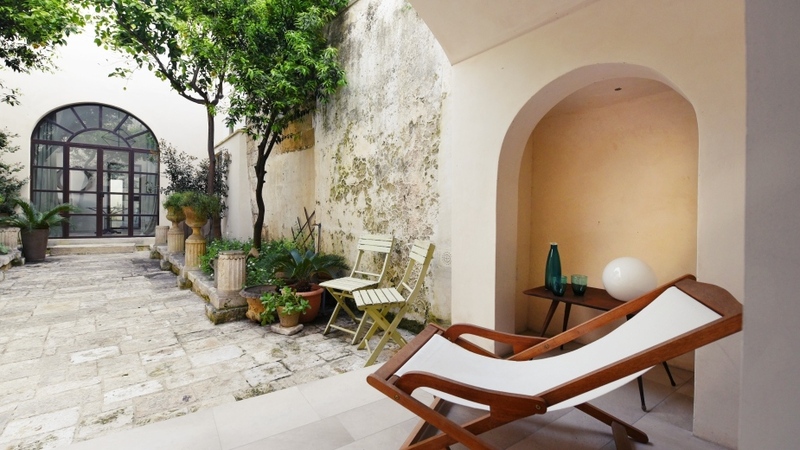 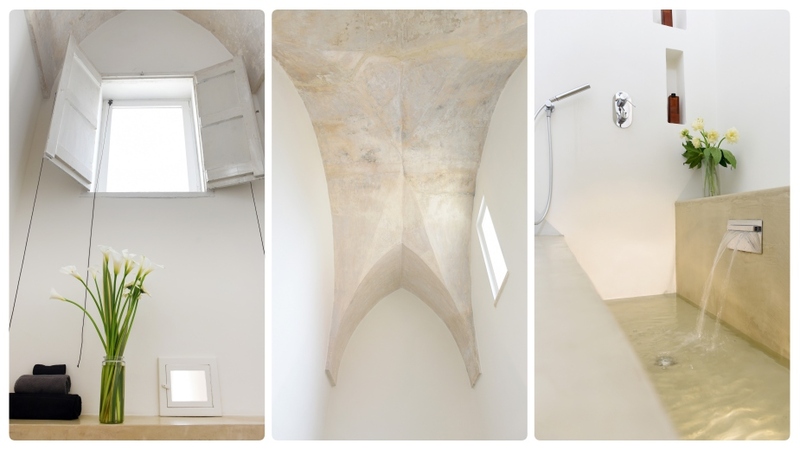 A further flight of stairs leads to the panoramic roof terrace with views across the old town.